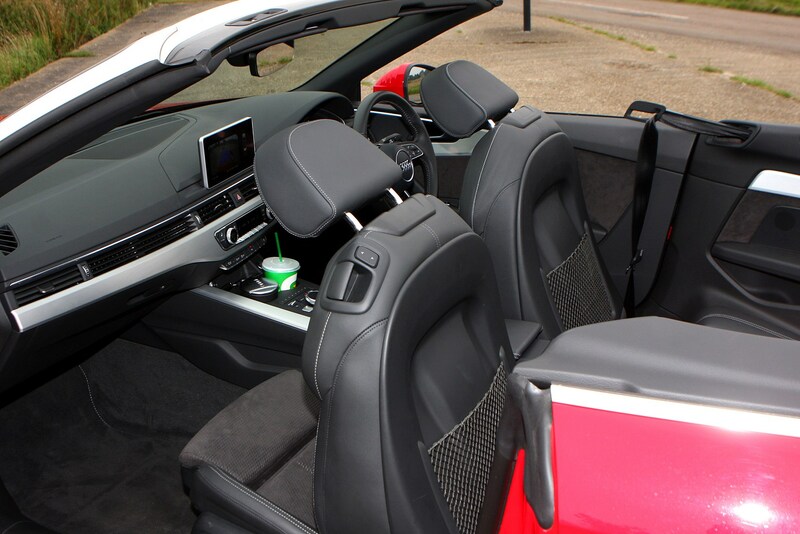 Insurance group: 35 - 45 How much is it to insure? 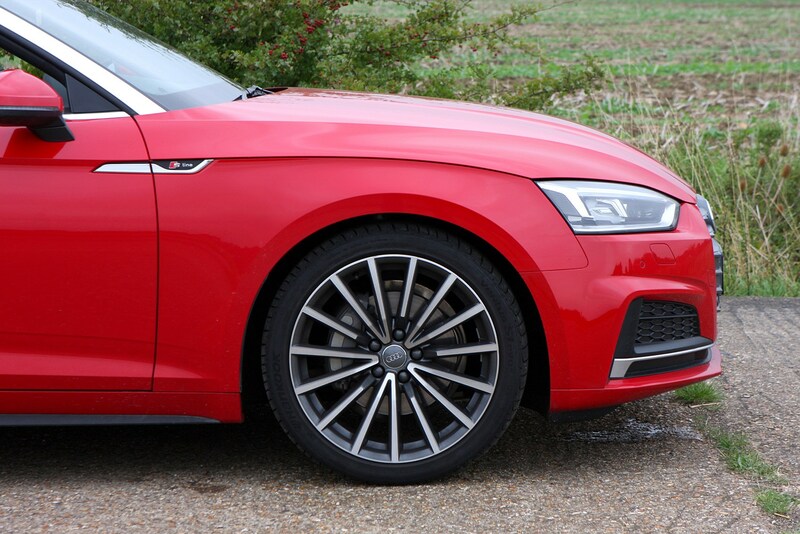 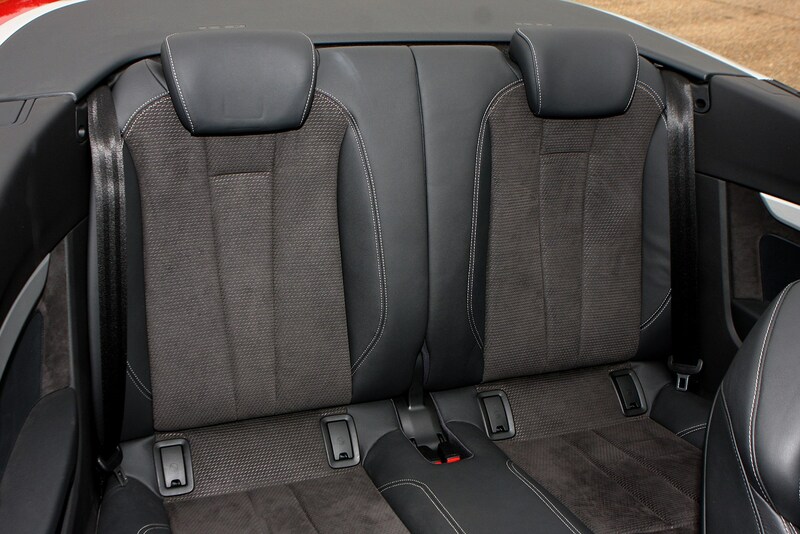 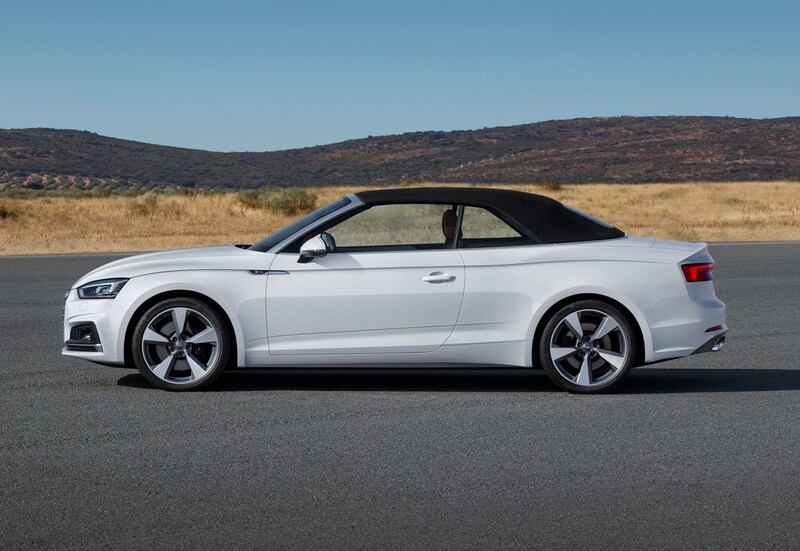 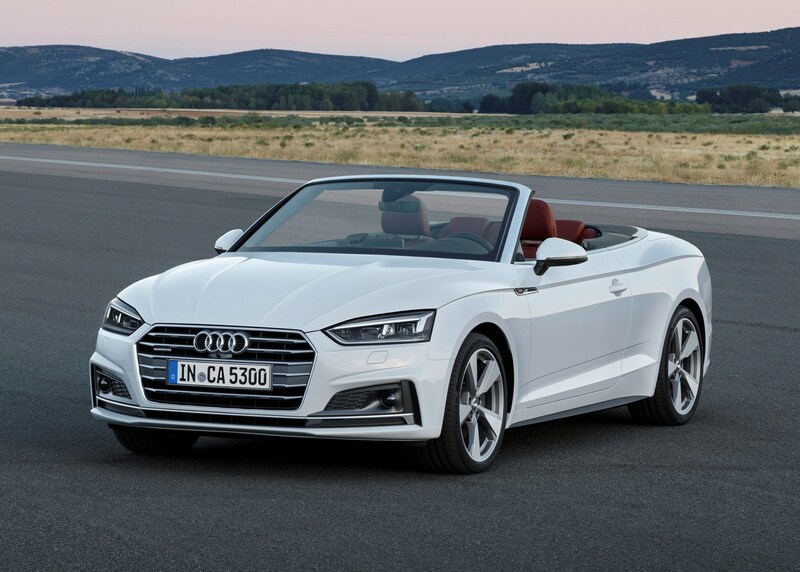 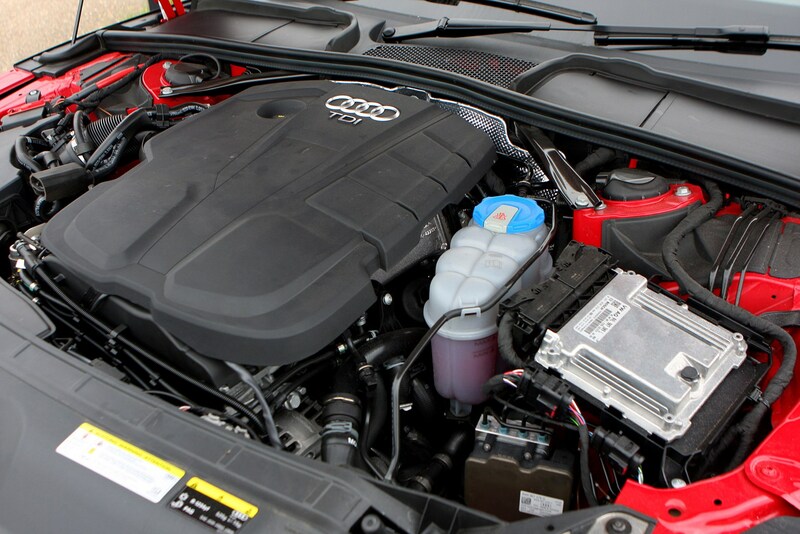 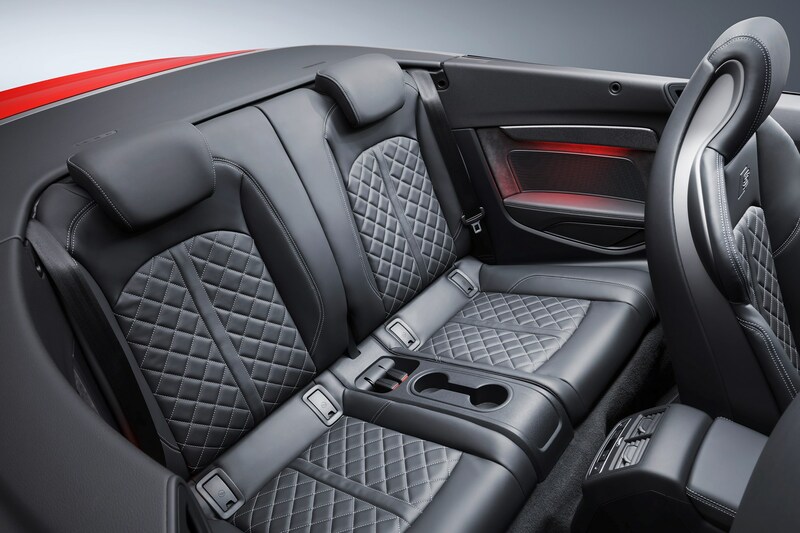 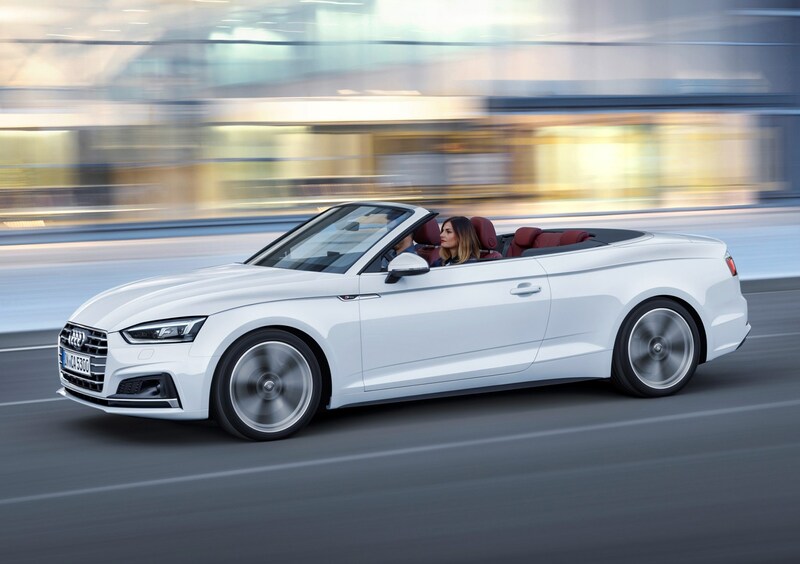 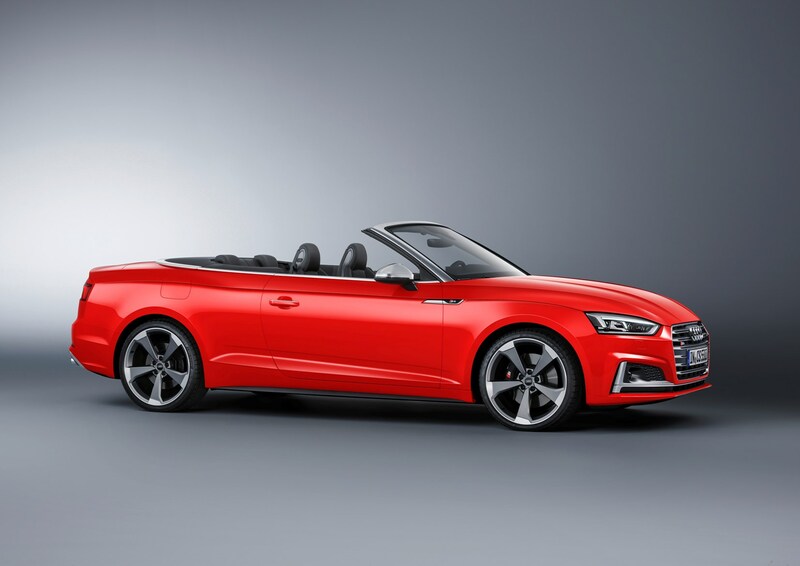 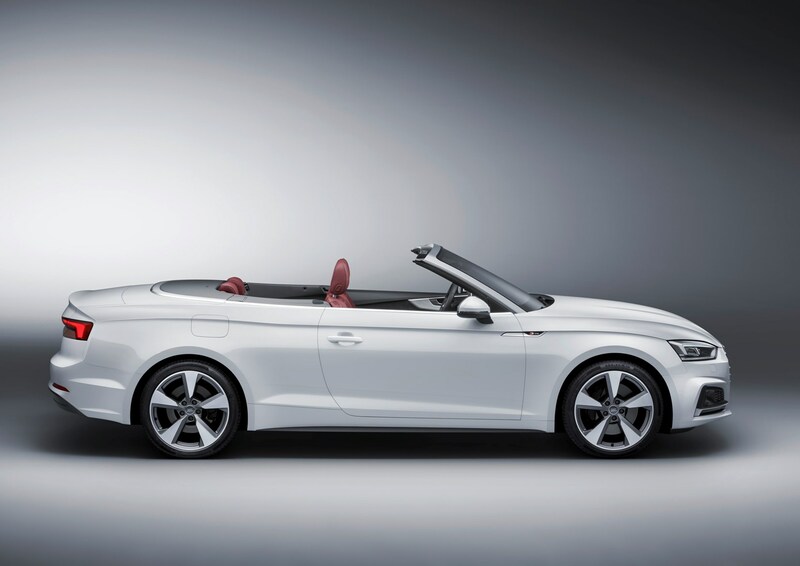 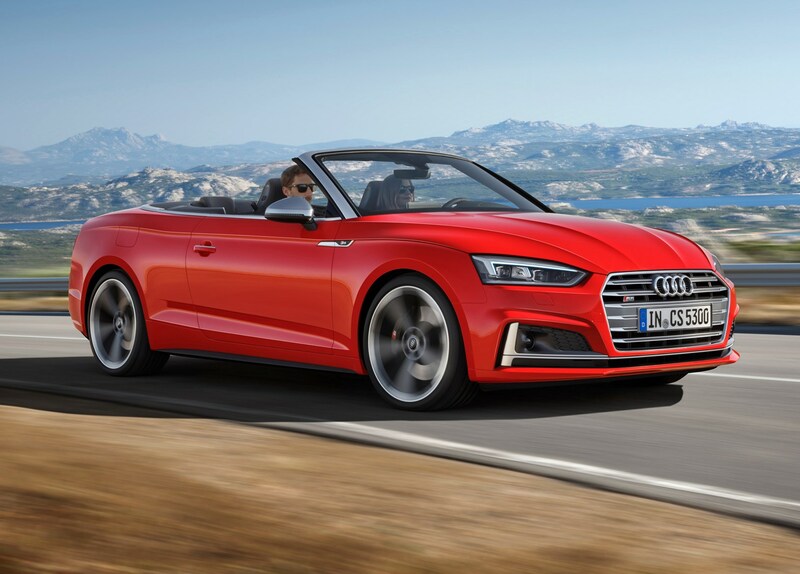 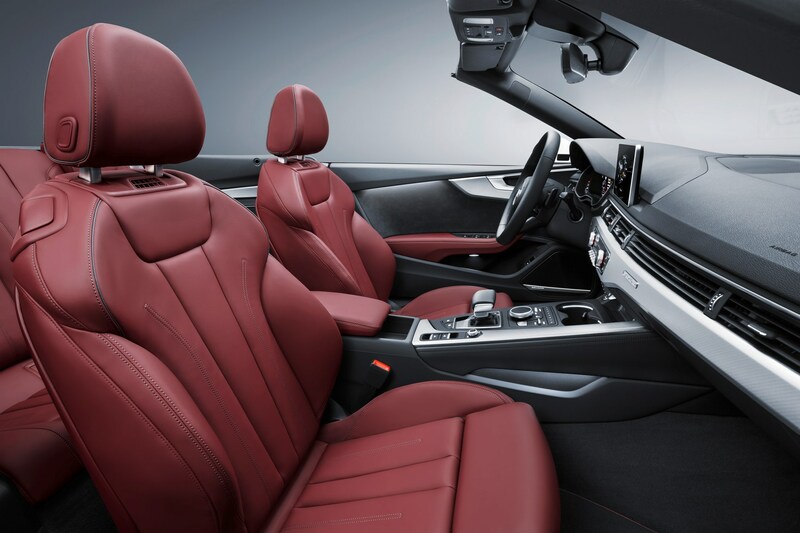 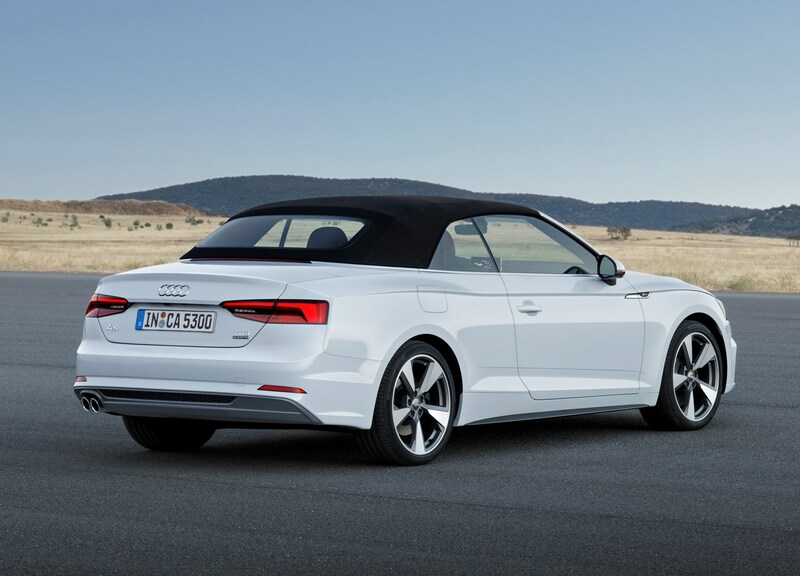 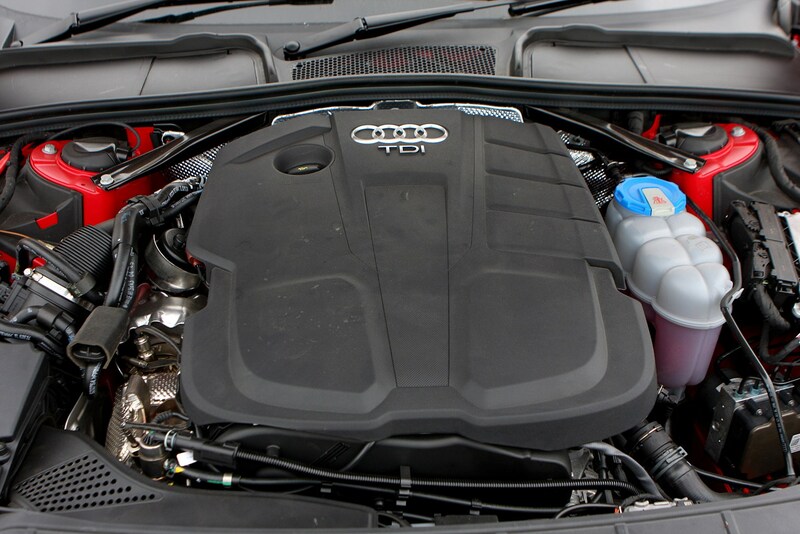 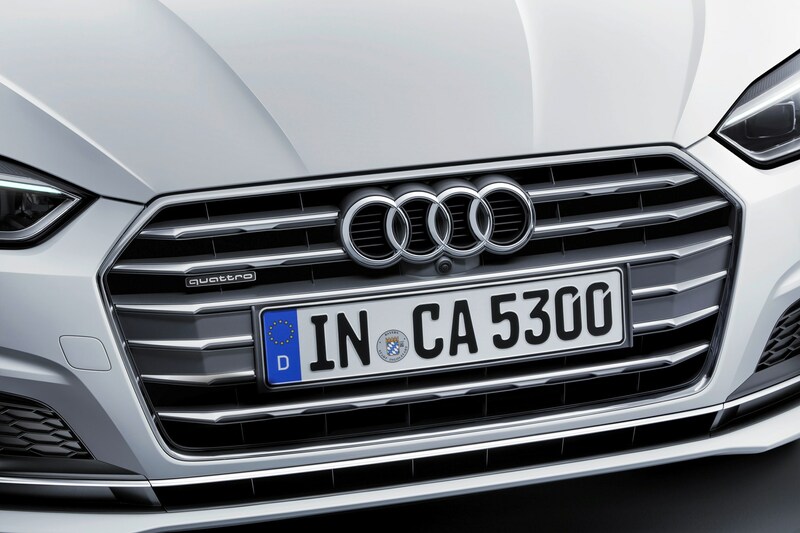 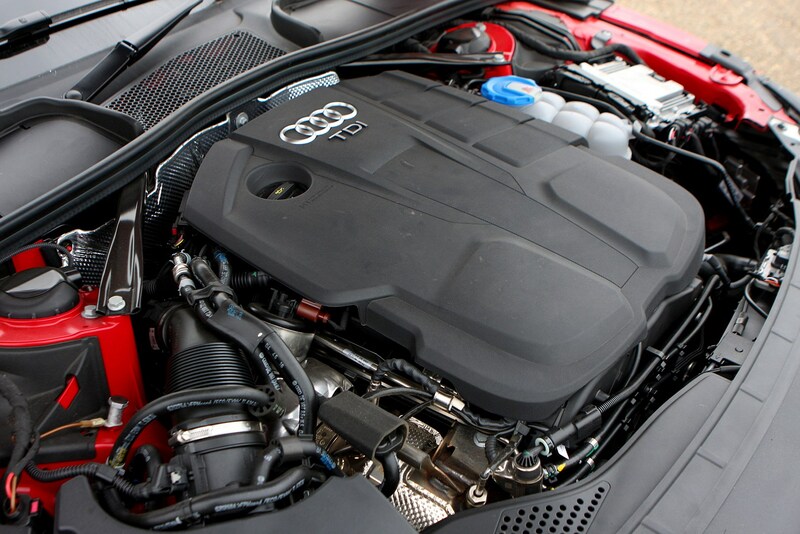 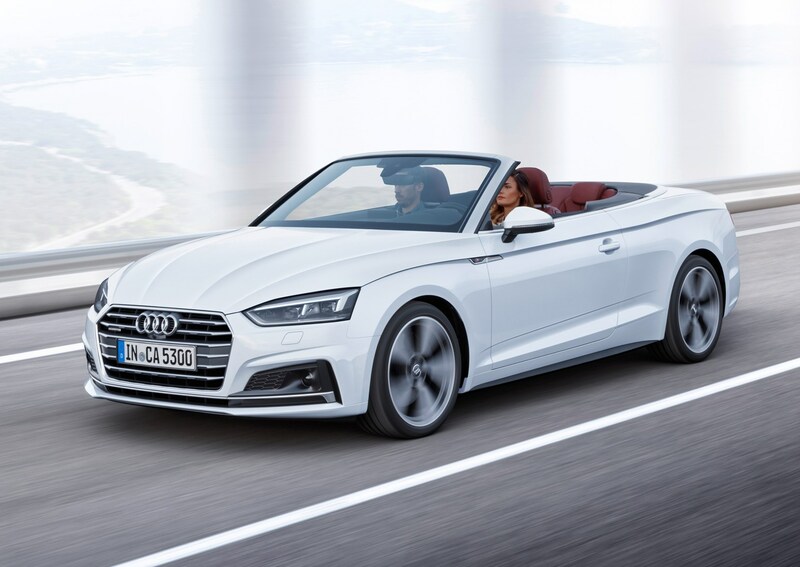 The Audi A5 Cabriolet is the manifestation of a quarter of a century of experience building four-seat soft-top cars. 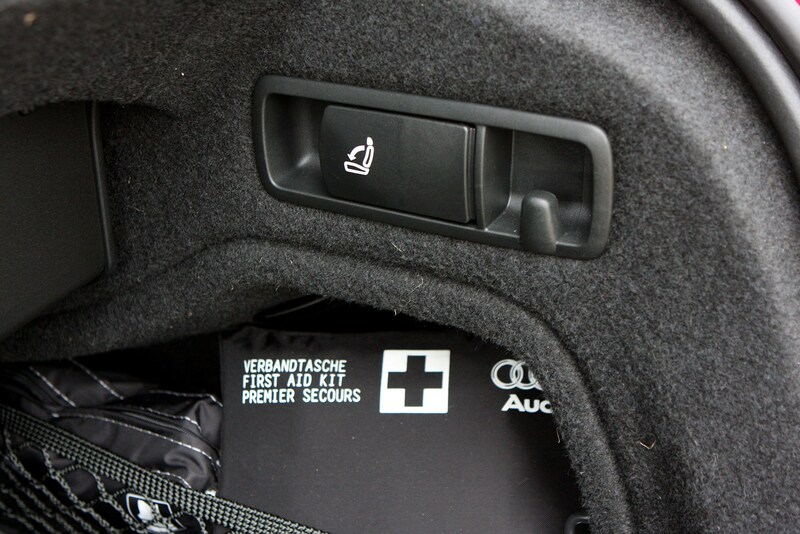 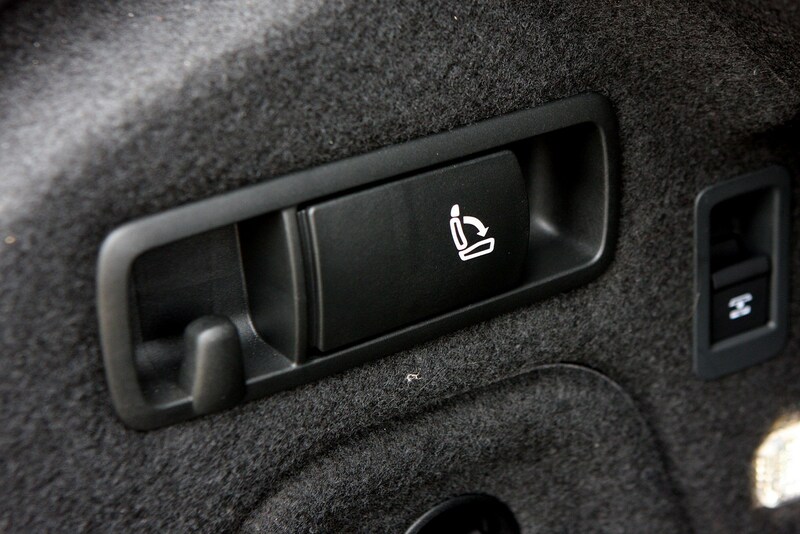 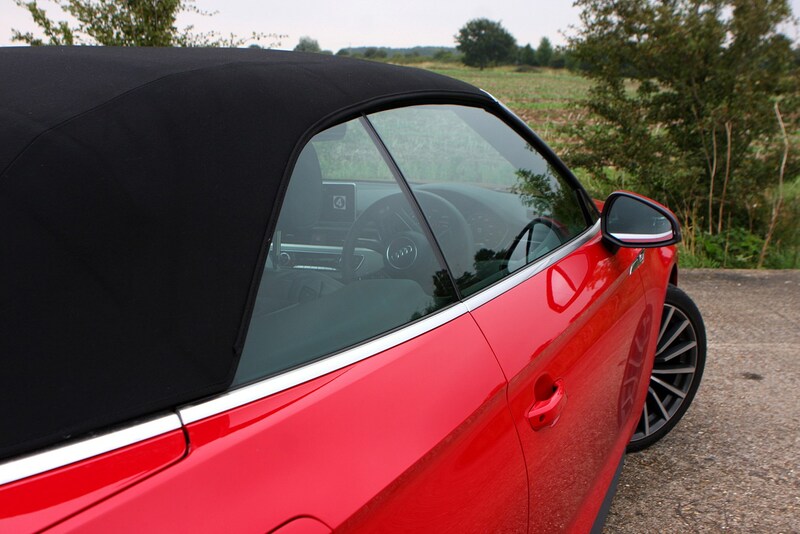 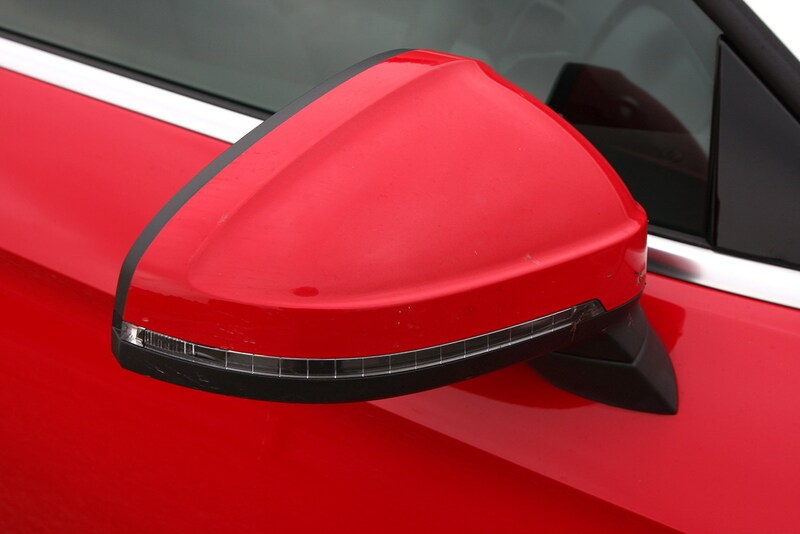 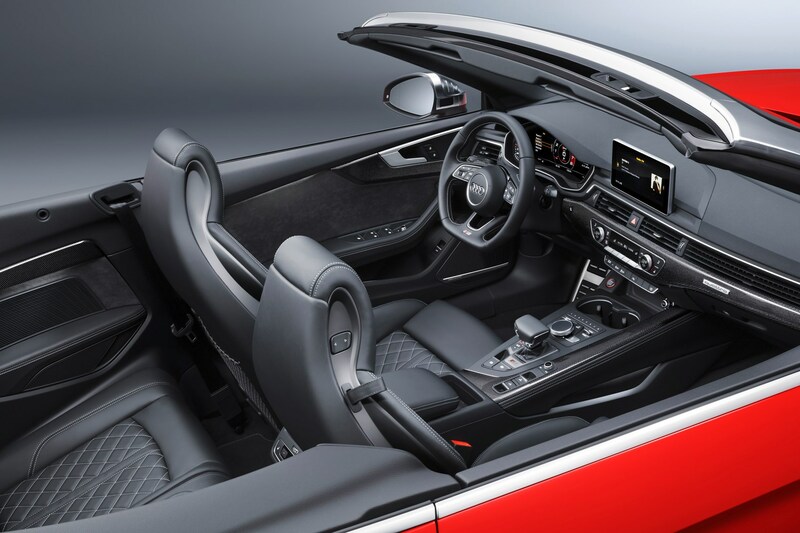 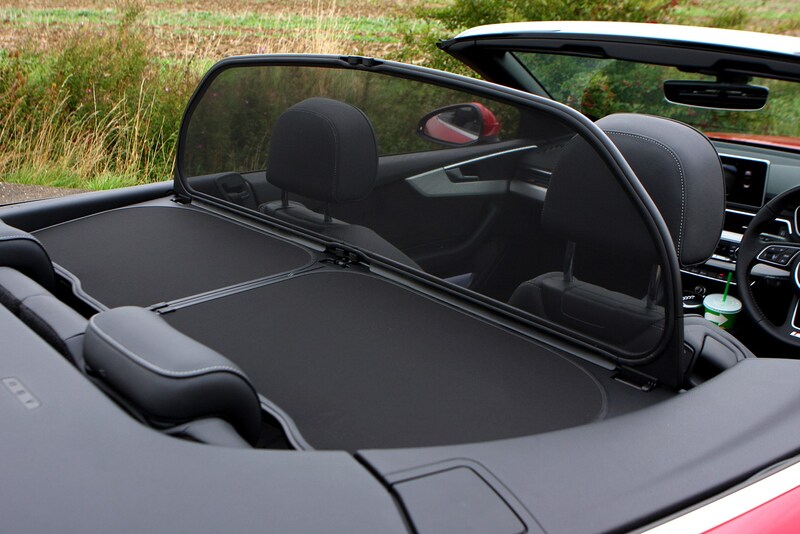 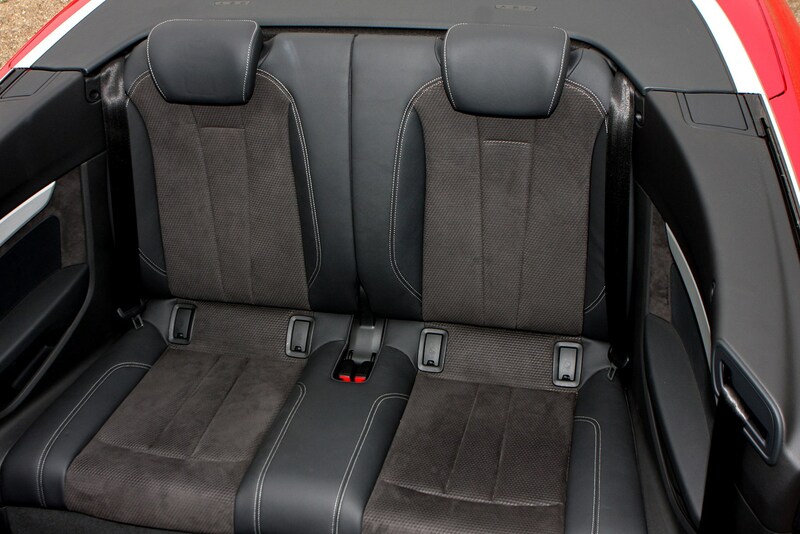 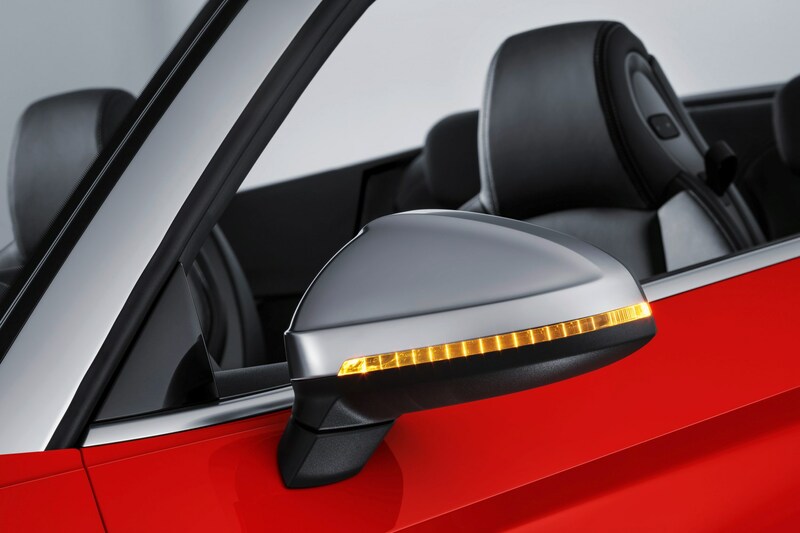 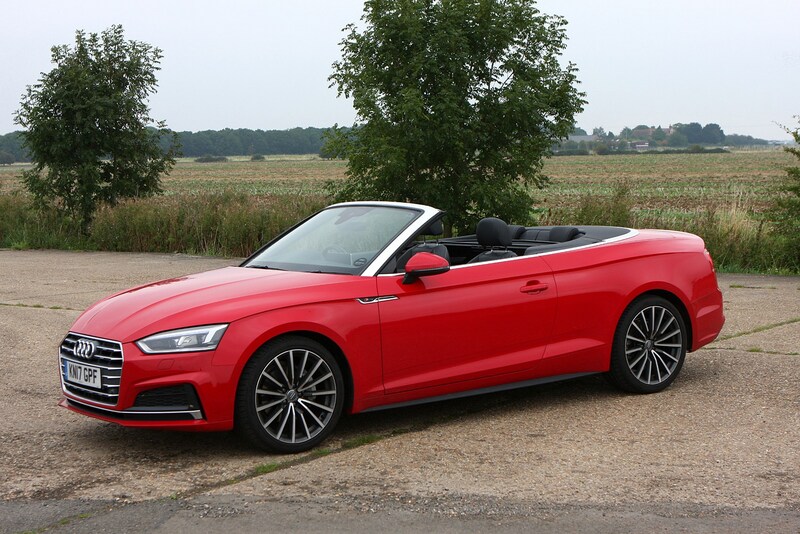 Starting back in 1992 with the first Audi Cabriolet, the company has reached a stage now where the compromises traditionally experienced with removing the metal roof from a car – poorer handling, noisier roof-up refinement and significantly reduced practicality – have been all but eradicated. 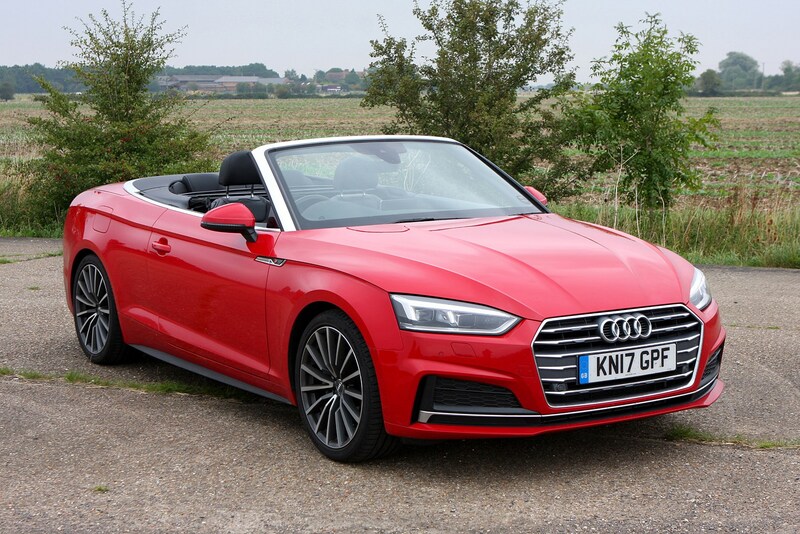 A natural rival to the Mercedes-Benz C-Class Cabriolet and BMW 4 Series Convertible along with slightly more left-field options such as the Ford Mustang Convertible and the Range Rover Evoque Convertible, the A5 is an incredibly accomplished package. 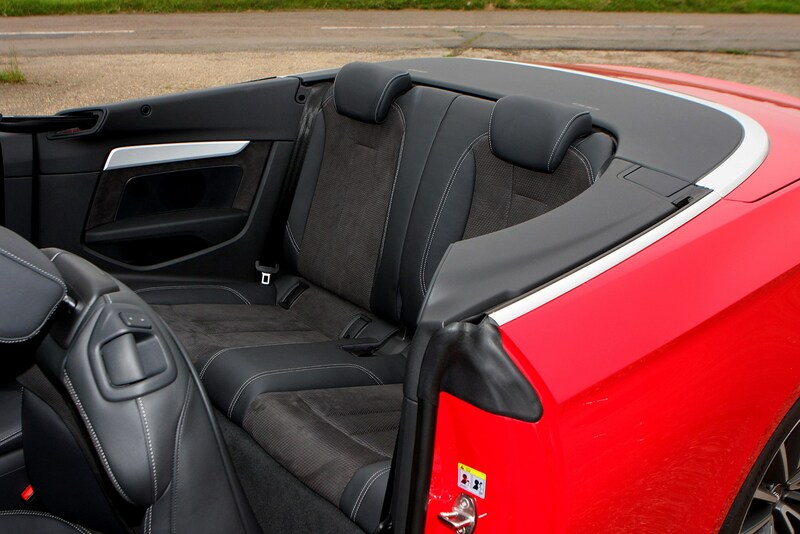 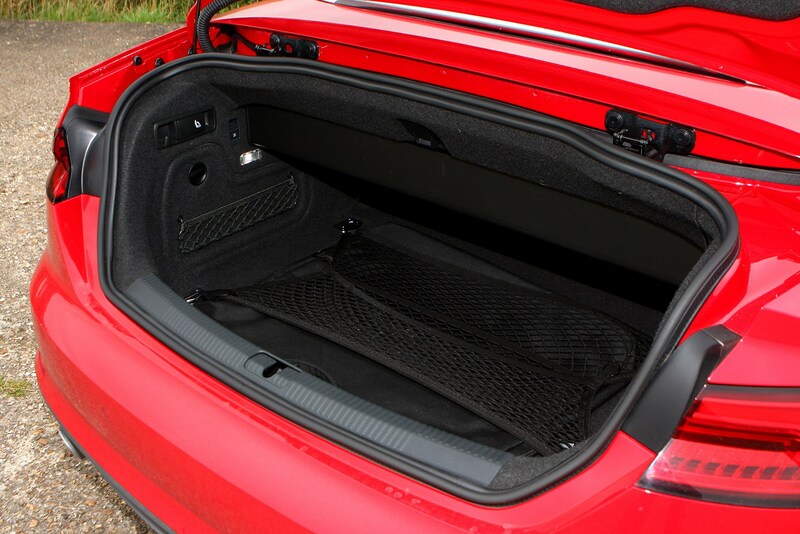 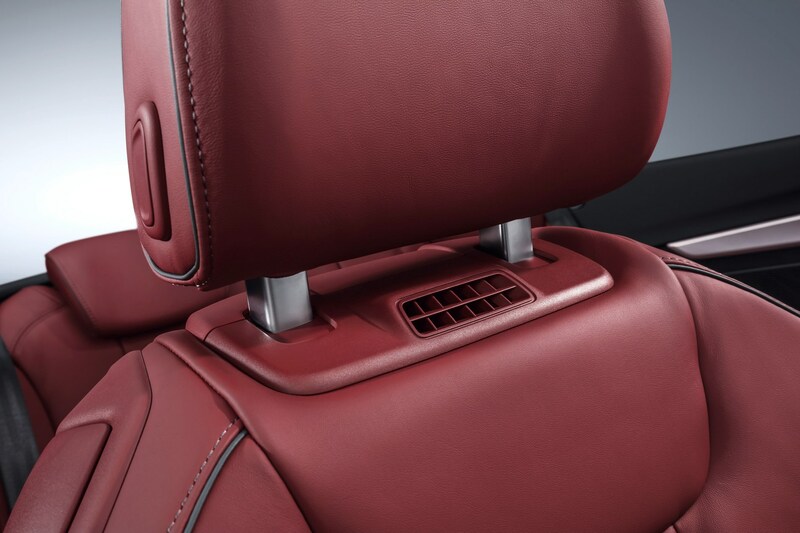 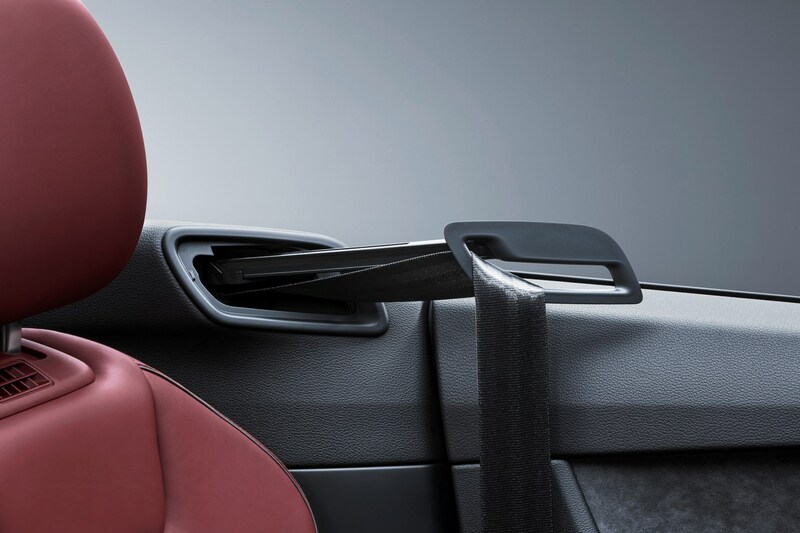 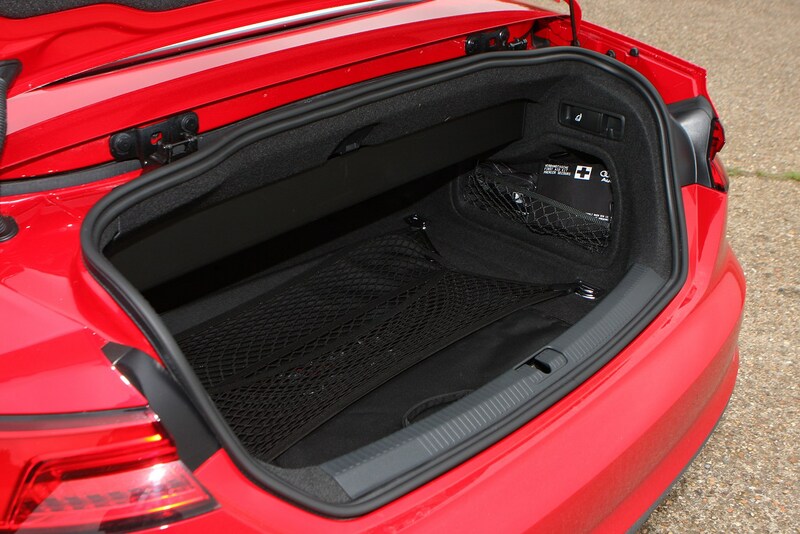 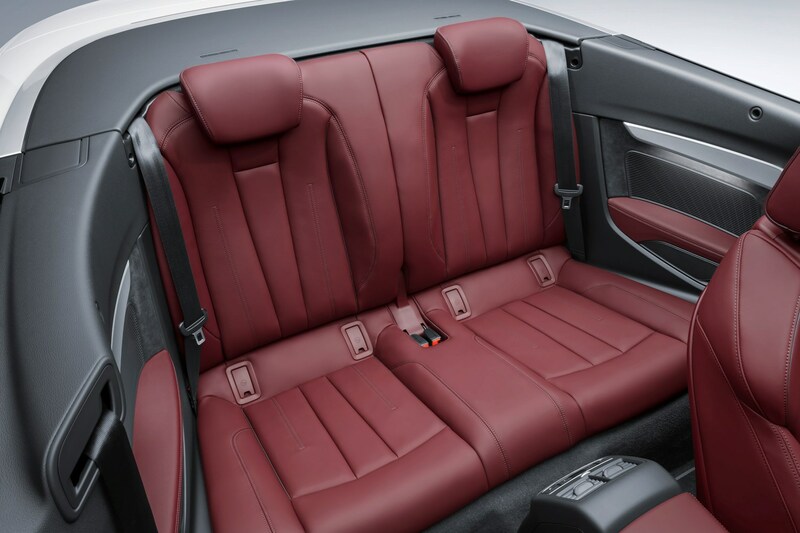 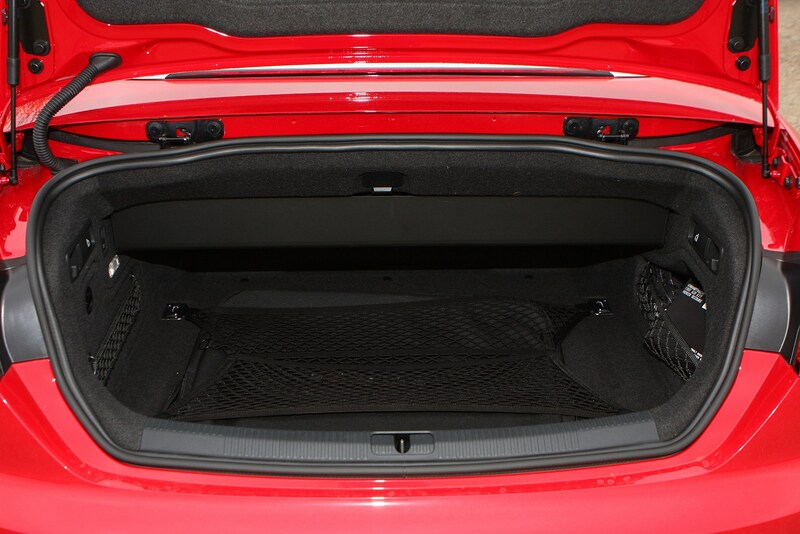 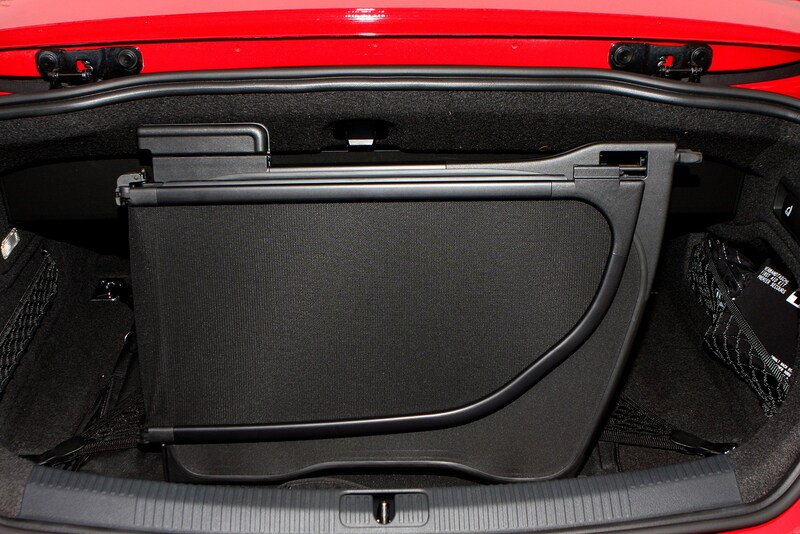 With the roof up it’ll genuinely seat four in relative comfort, though it might be a squeeze for the longer-legged in the back, and there’s a usefully sized luggage compartment behind the folding rear seats to slot in a couple of suitcases. 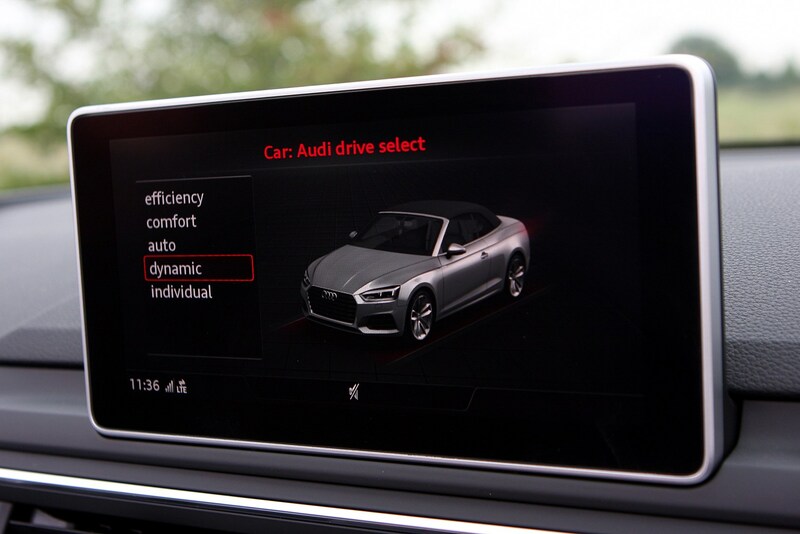 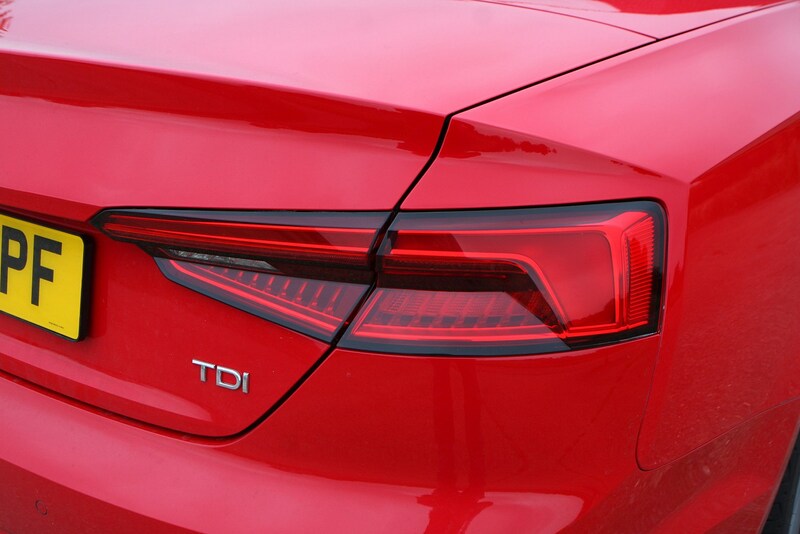 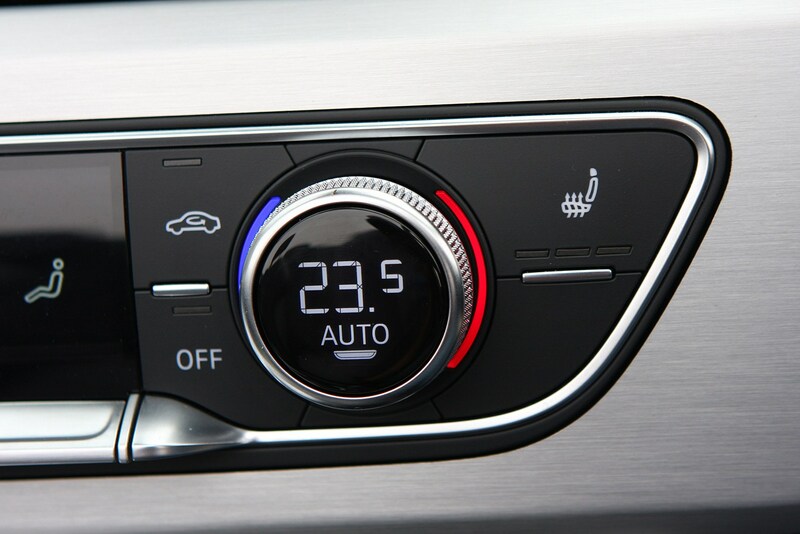 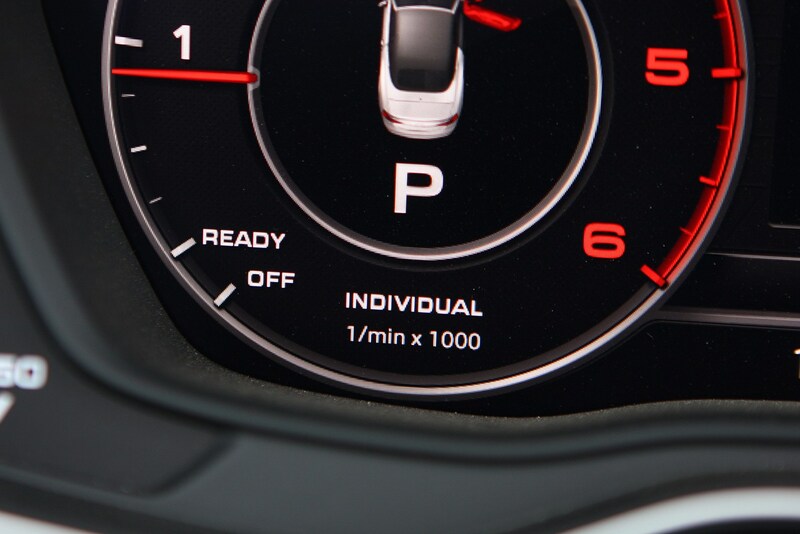 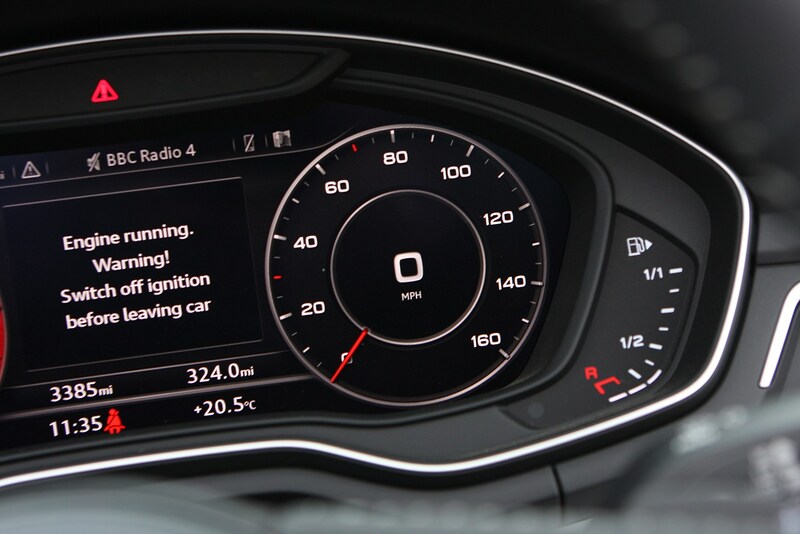 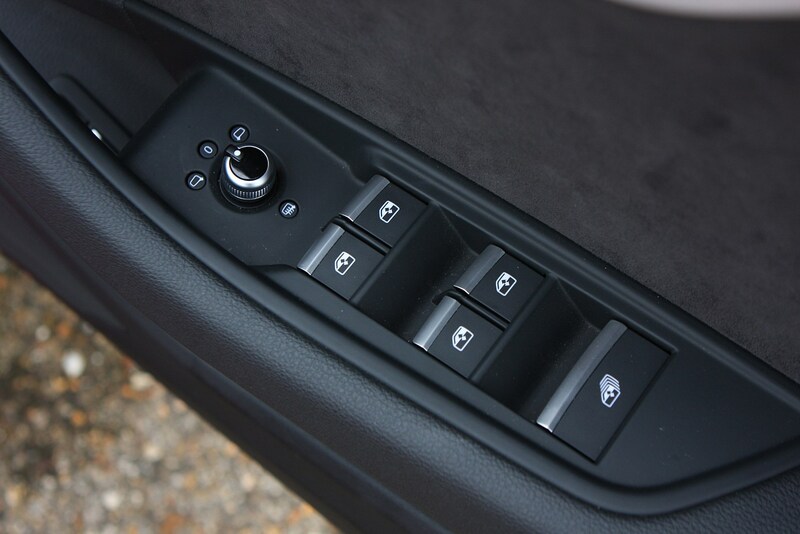 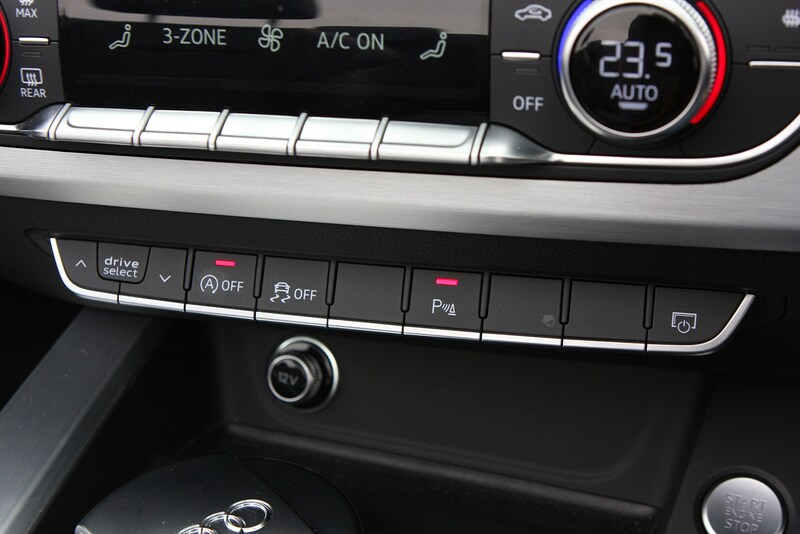 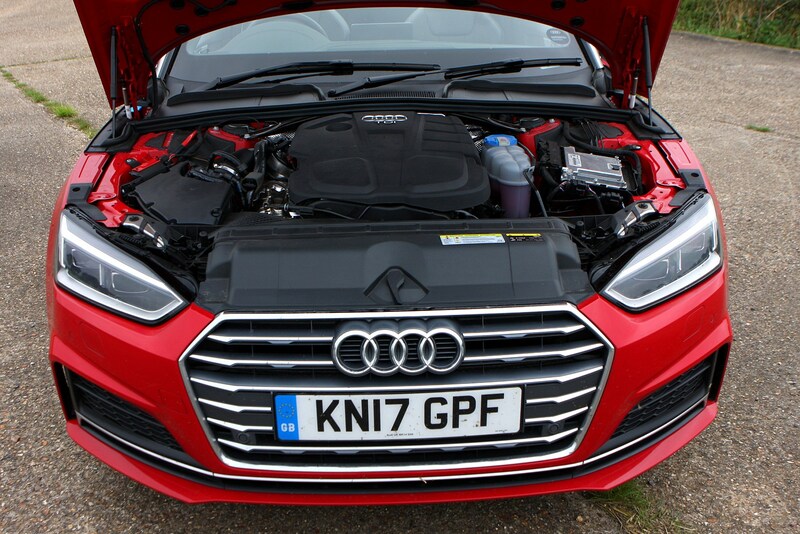 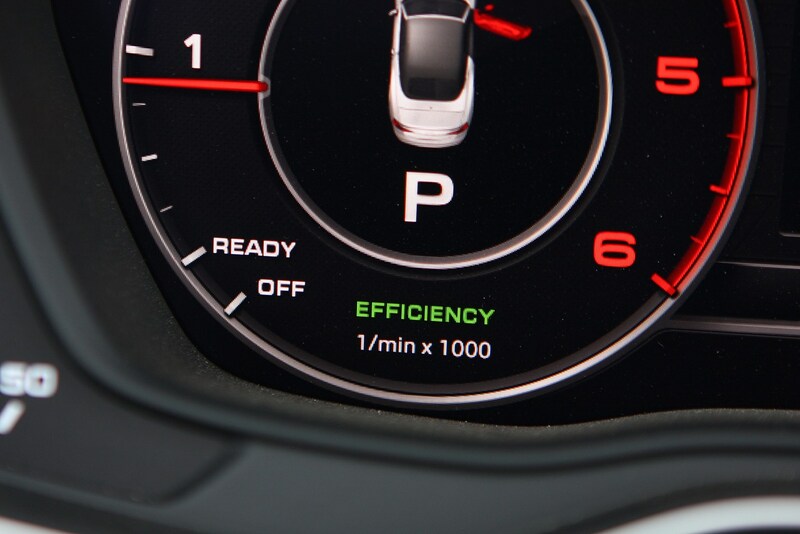 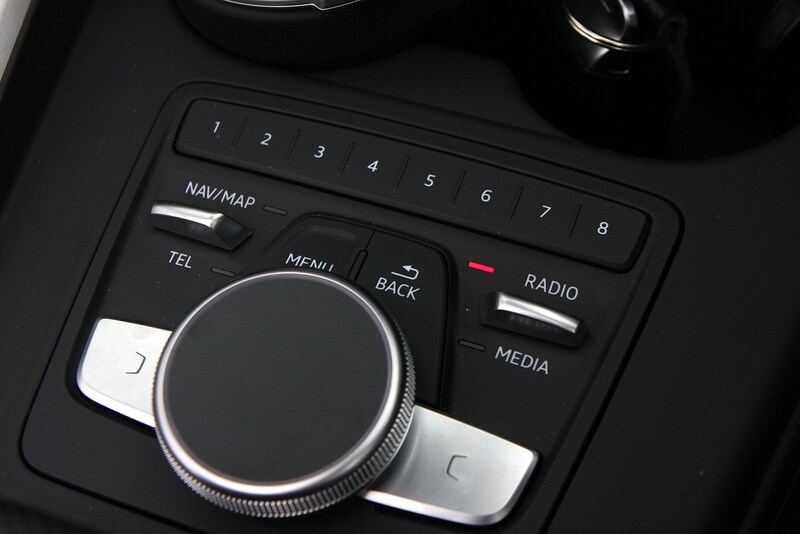 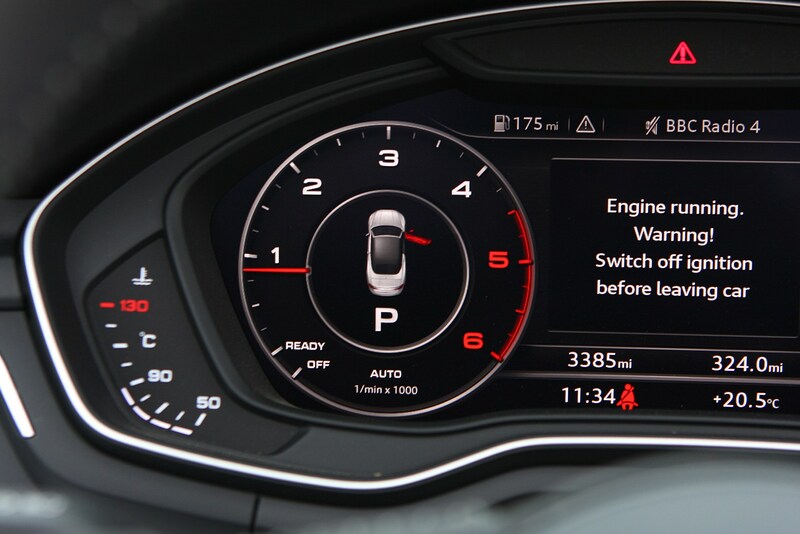 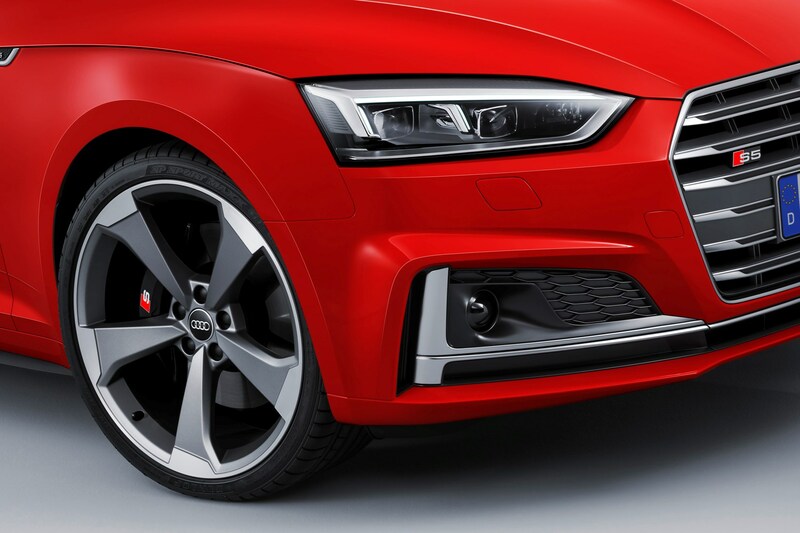 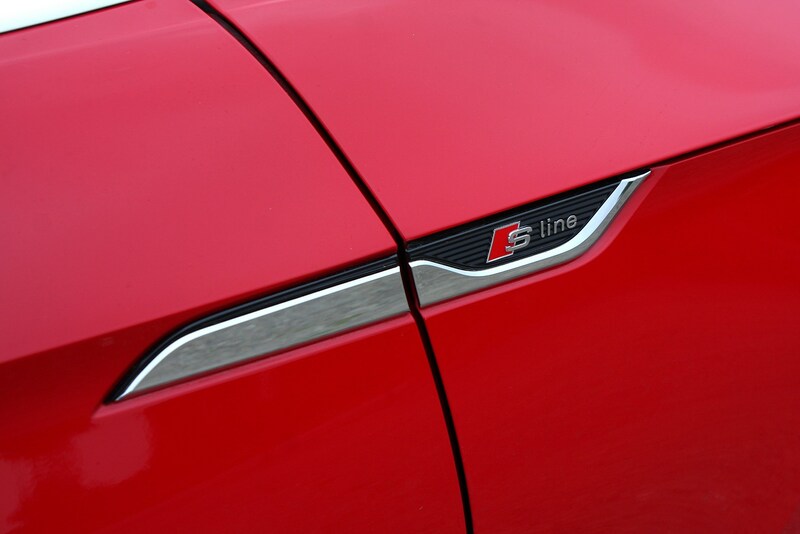 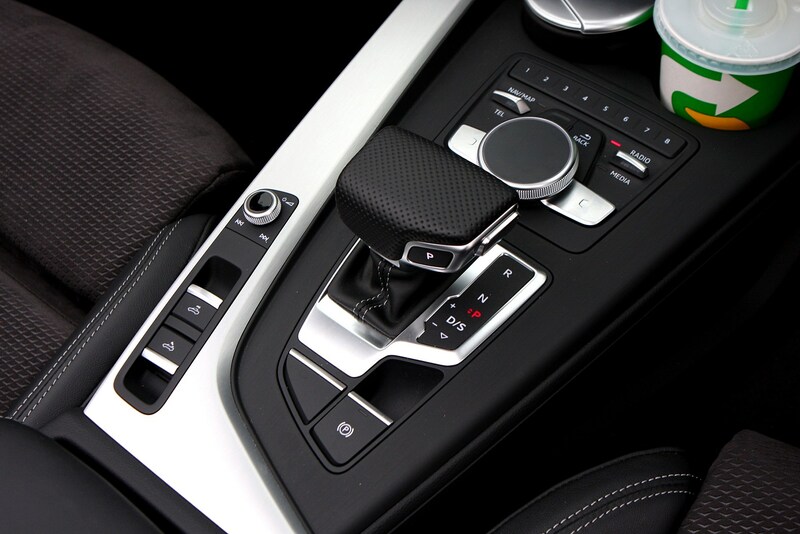 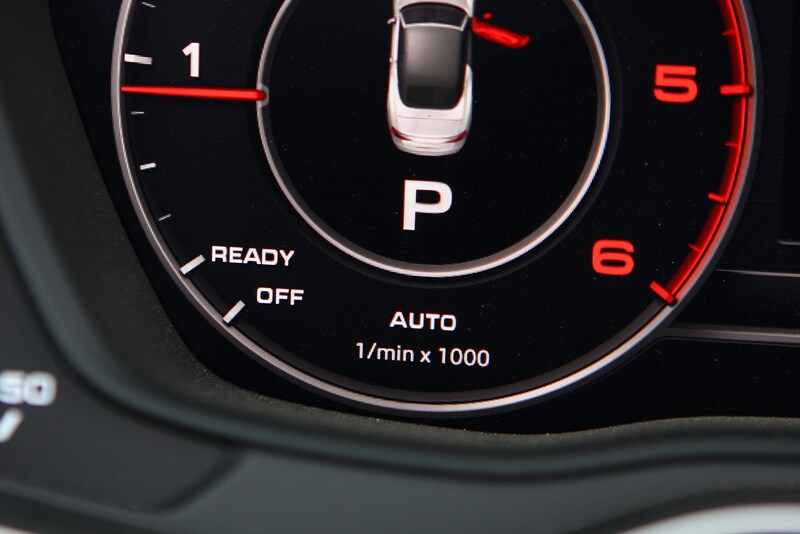 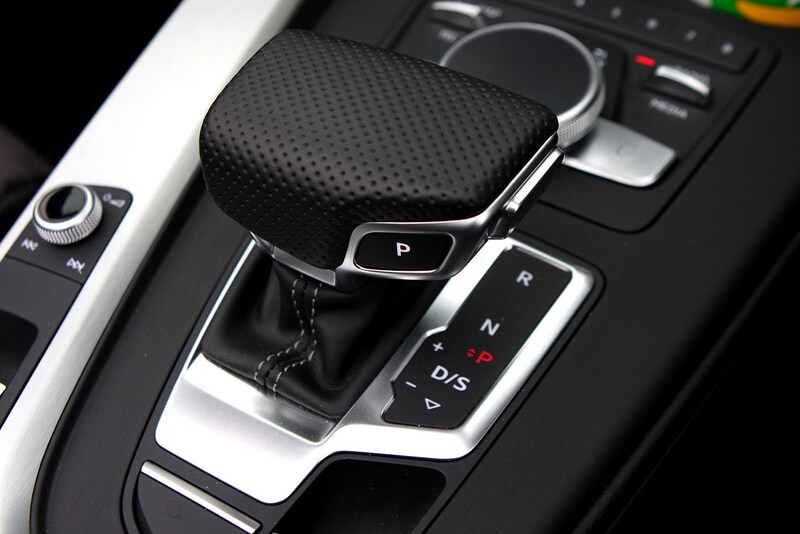 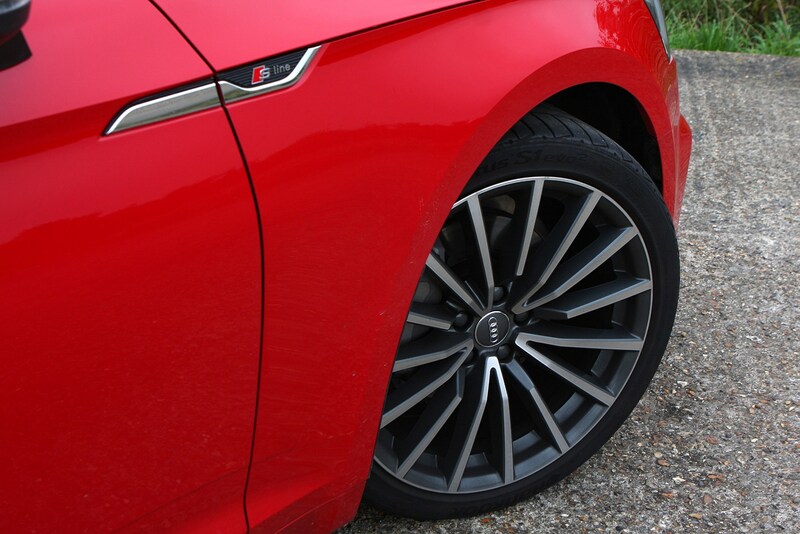 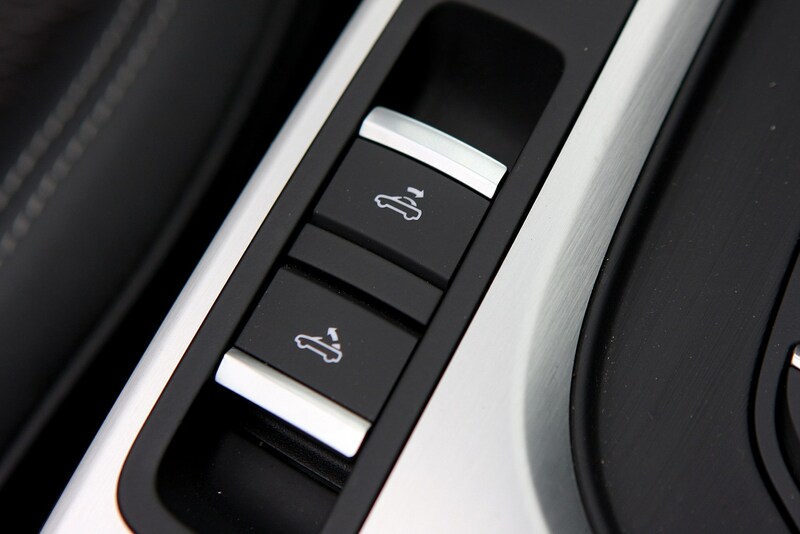 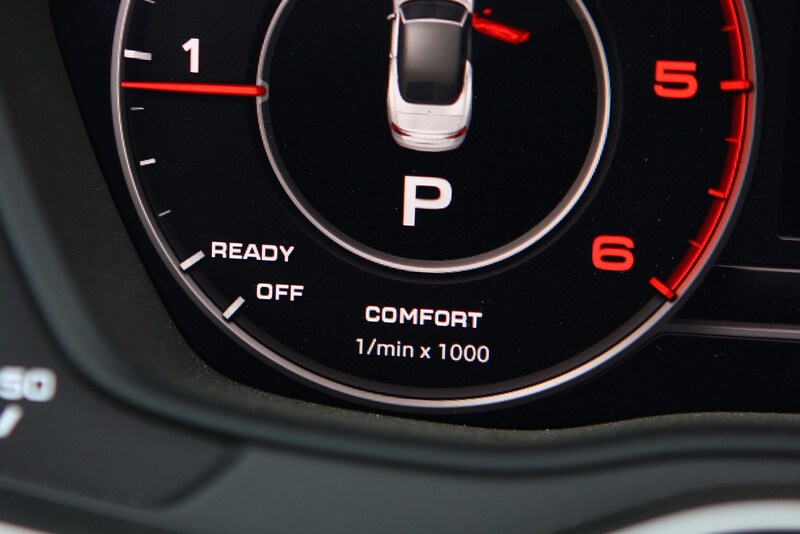 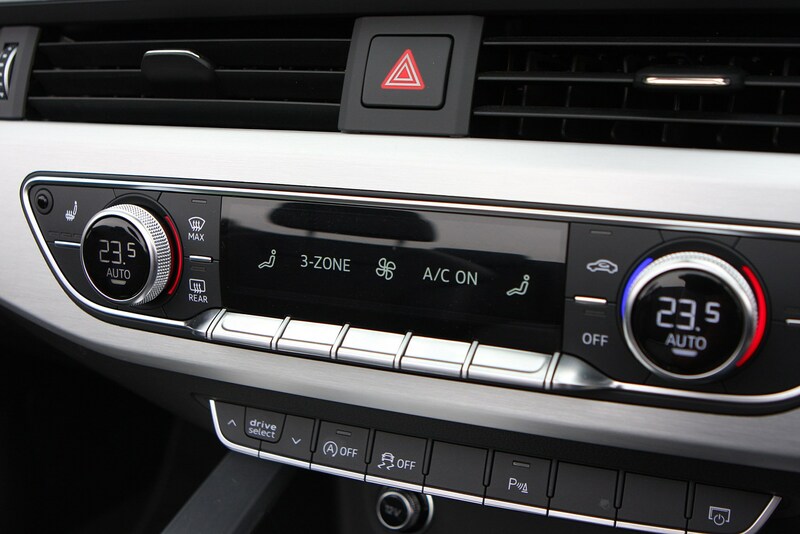 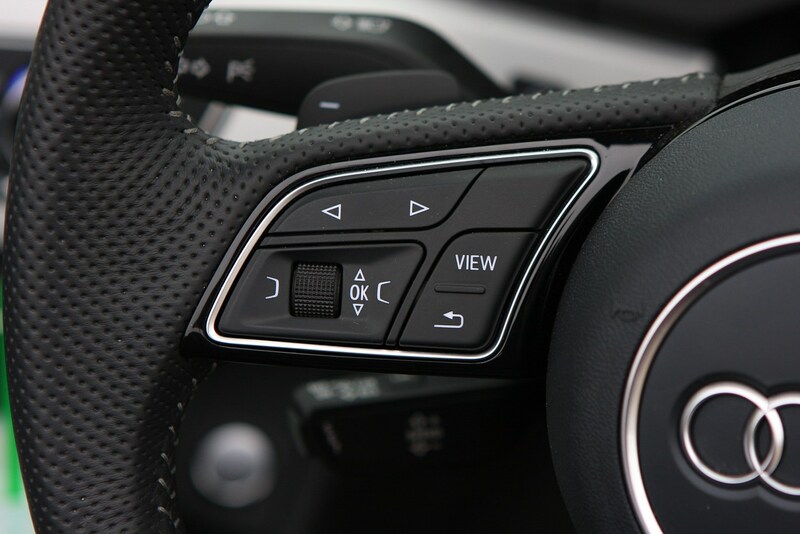 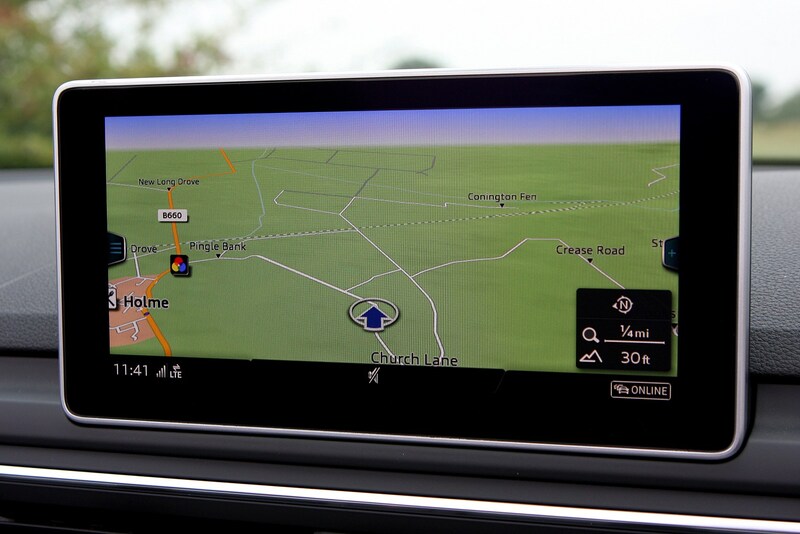 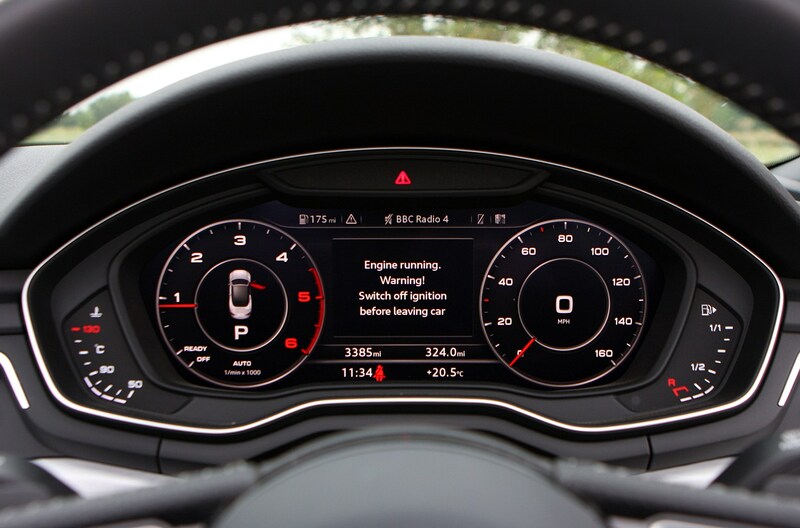 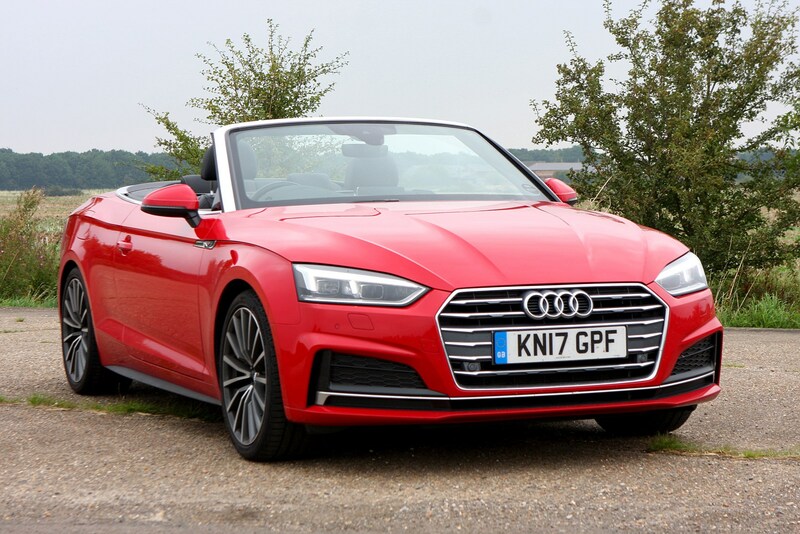 There are no surprises here, with a range of very capable turbocharged TFSI petrol and TDI diesel engines coupled to a selection of slick and responsive manual and automatic gearboxes. 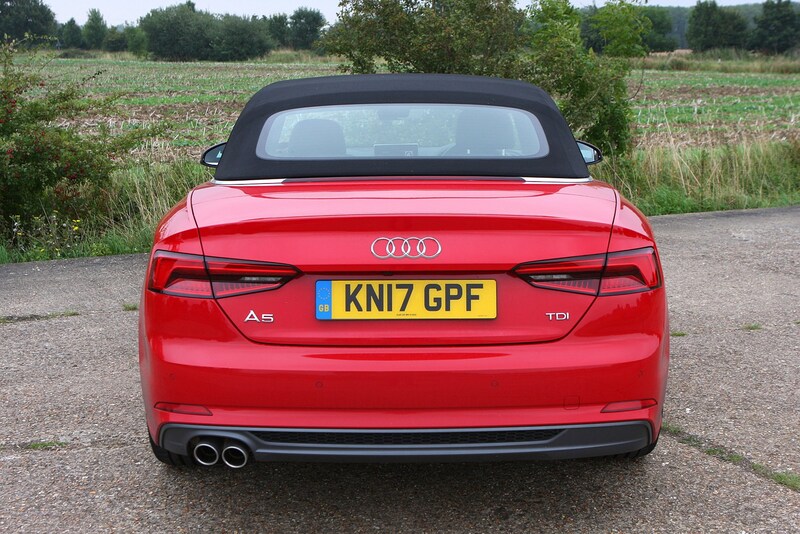 There’s something to suit a wide range of tastes and preferences. 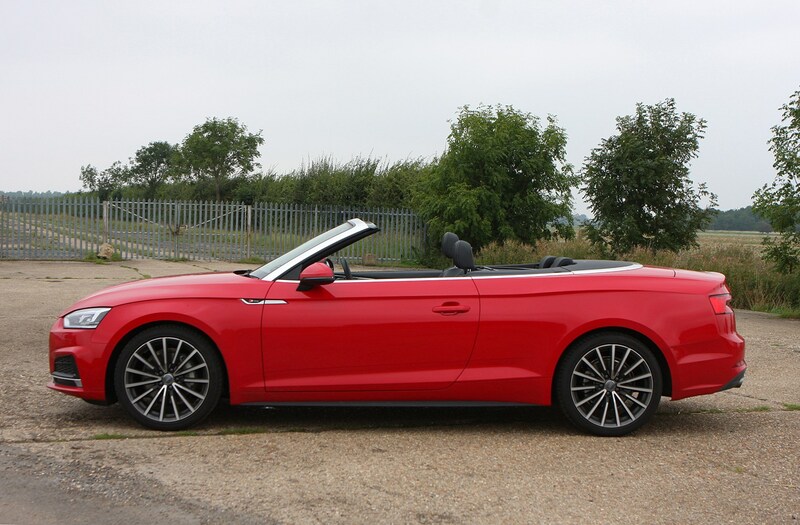 We’re particularly impressed with the 2.0-litre TDI, which offers low running costs and punchy performance, and it doesn’t sound like a tractor or shatter the peace and quiet on a summer’s day when you lower the roof. 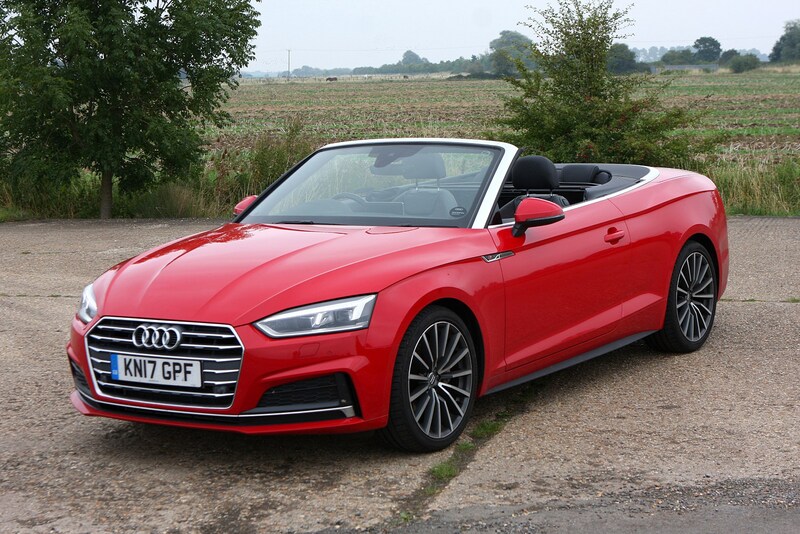 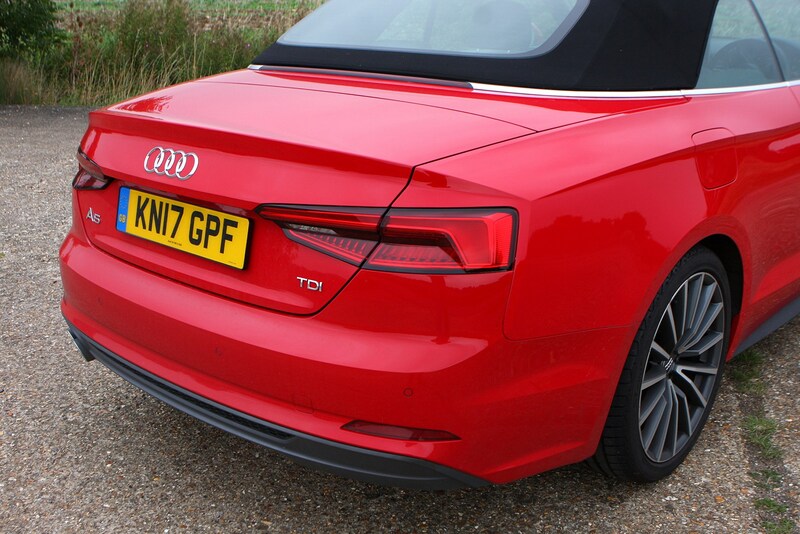 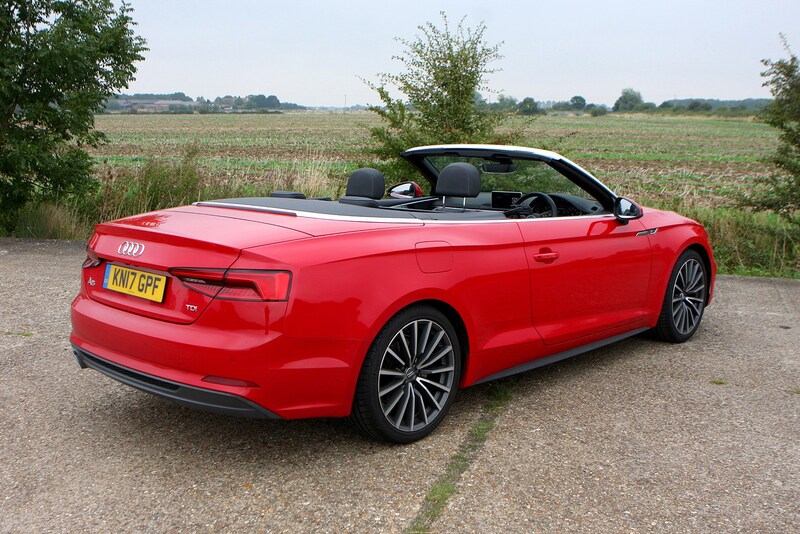 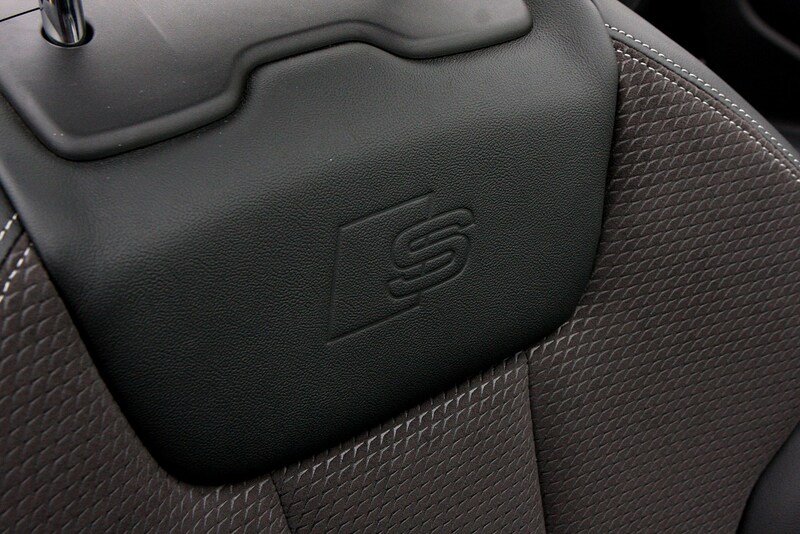 And if you want something a bit fruitier, the S5 Cabriolet is there to satisfy those looking for some extra performance and for something sweeter to listen to when the top’s down. 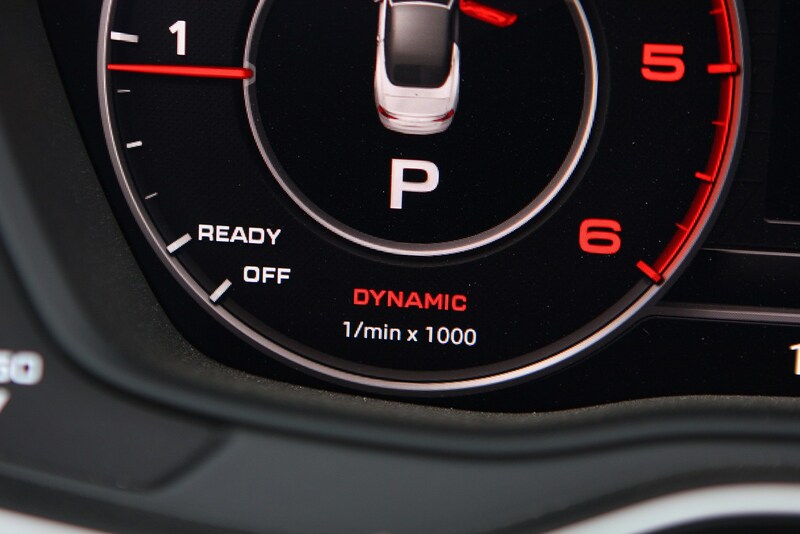 Is there a high-performance option? 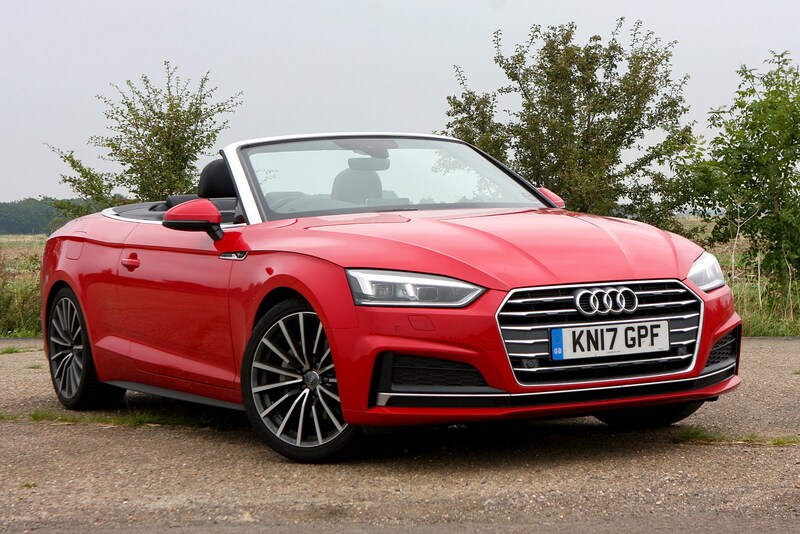 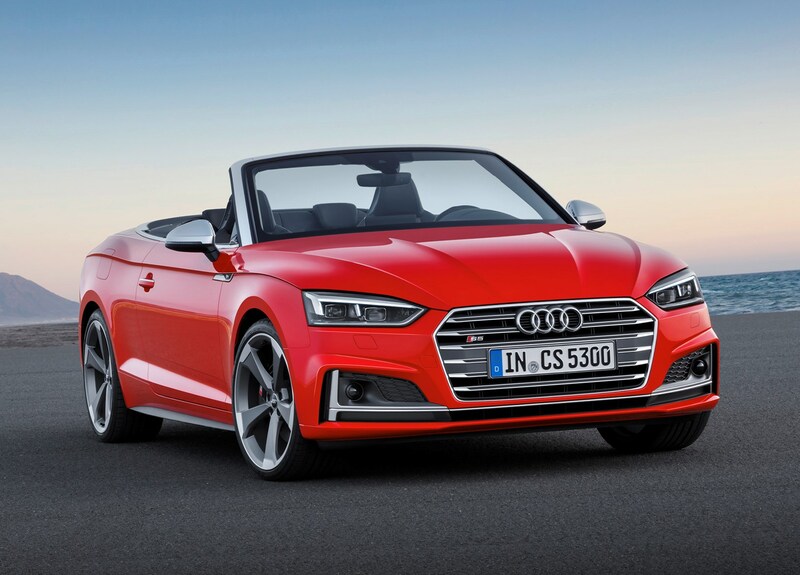 Sort of – there’s no RS 5 Cabriolet as yet, but the S5 Cabriolet is on hand to provide a more thrilling experience than the standard versions, resplendent with its 3.0-litre V6 boasting 354hp and sportier styling to boot. 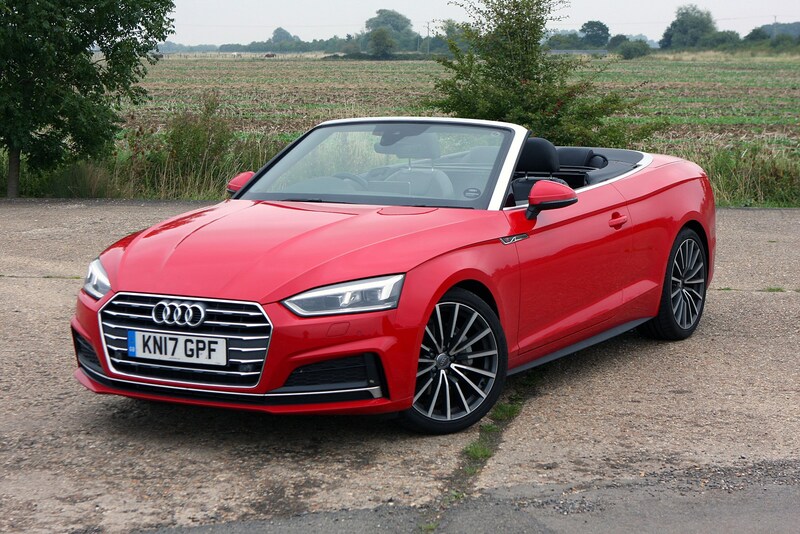 If you’re going to be in full-view of the world with the roof down, the interior environment needs to be pretty special, and the A5 doesn’t disappoint, with a slick design and top-notch materials used throughout – it’s all lifted straight from the A4 range. 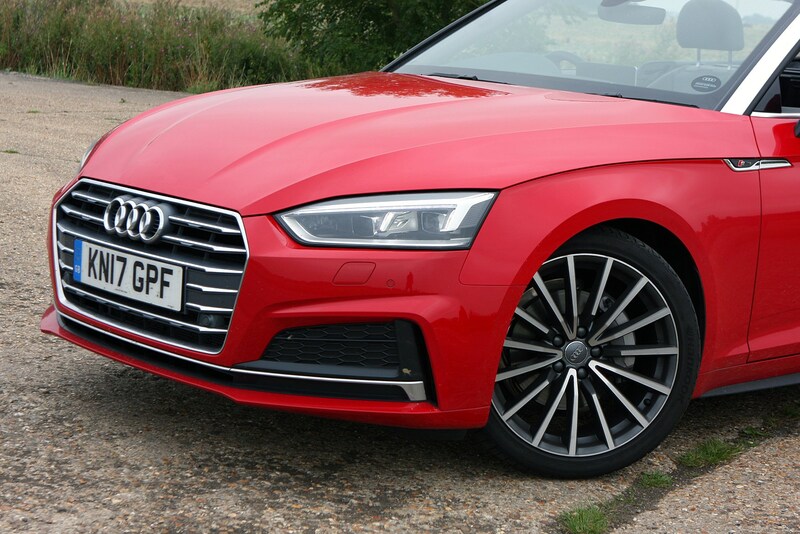 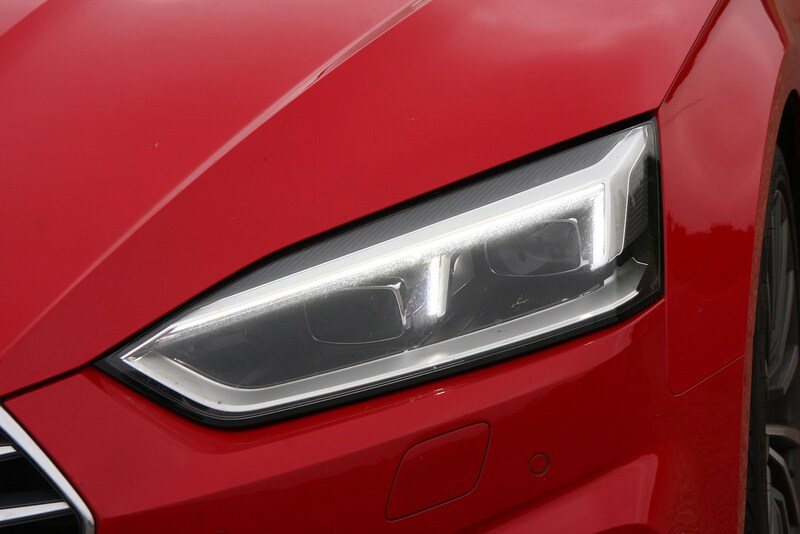 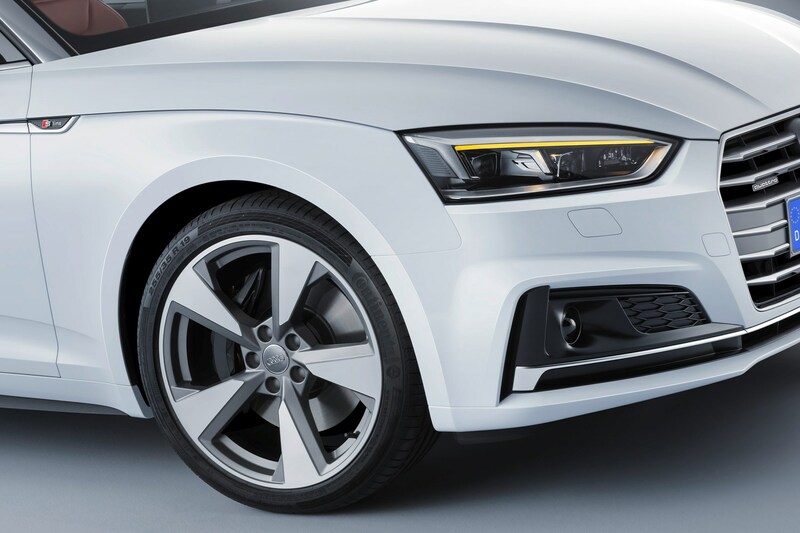 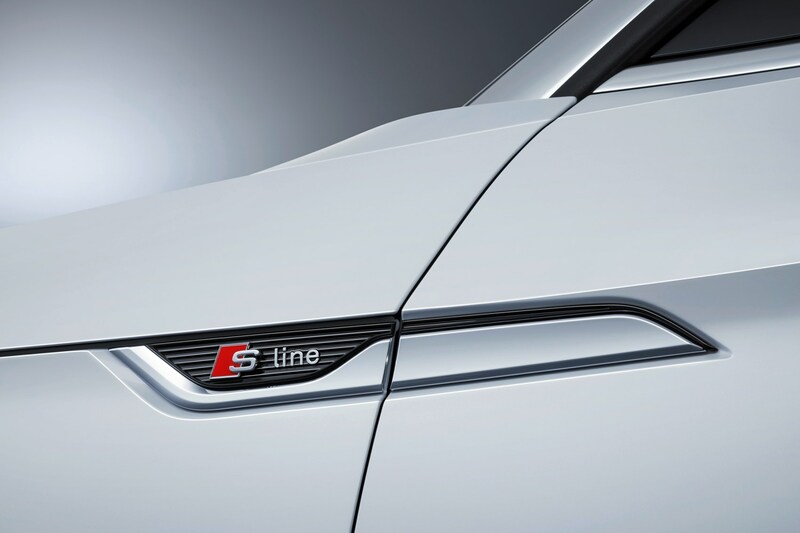 It’s pure Audi class and simplicity, but with an upmarket feel that its rivals struggle to match, and more than lives up to the handsome exterior styling with sharp lines and creases and bright LED lights all-round. 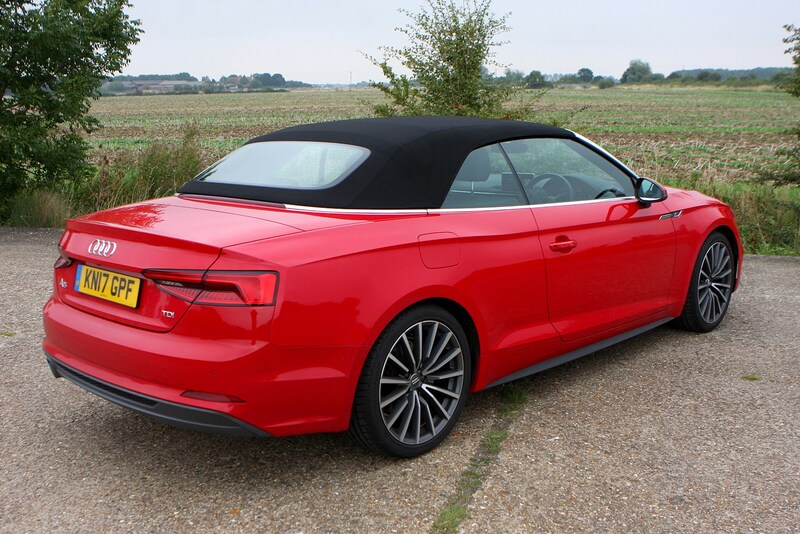 Should you buy an Audi A5 Cabriolet? 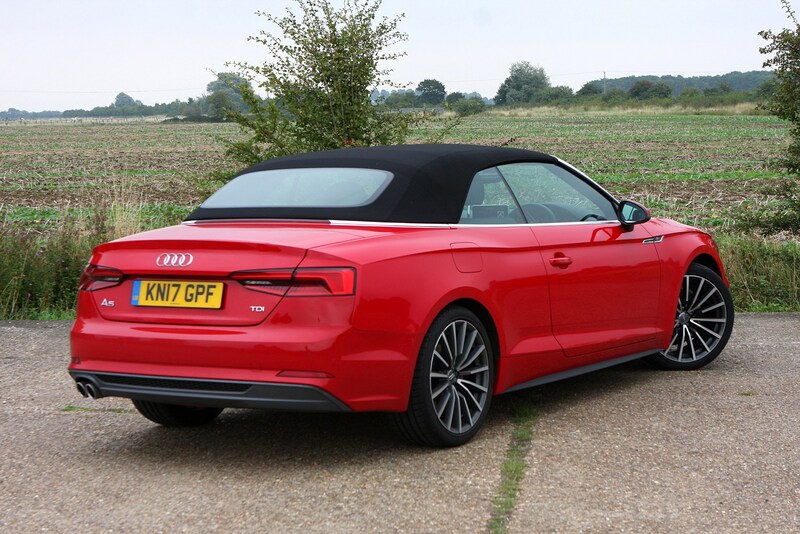 The Audi A5 Cabriolet is a very strong proposition if you’re in the market for a four-seat convertible. 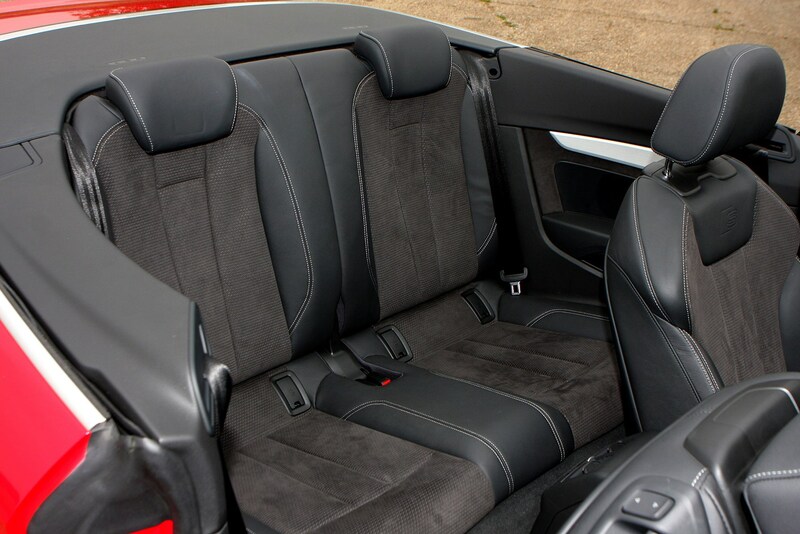 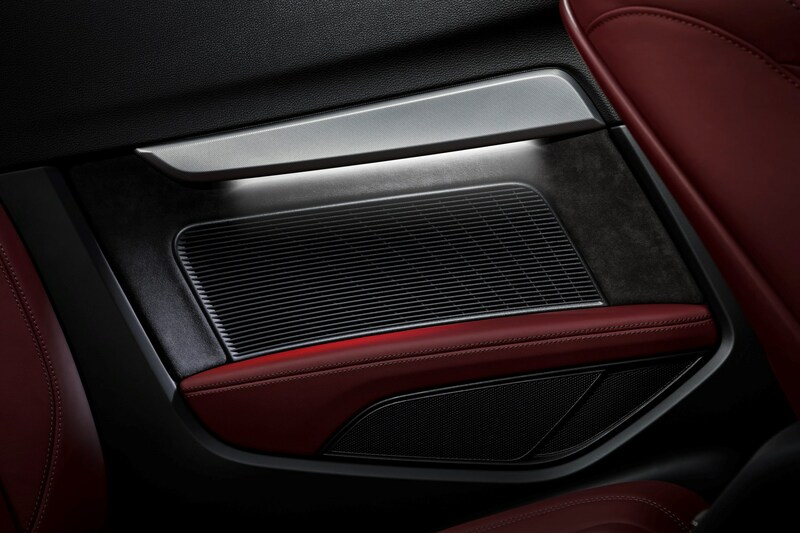 Not only does it look great, the interior is beautifully built and feels a cut above the cabins of its closest rivals. 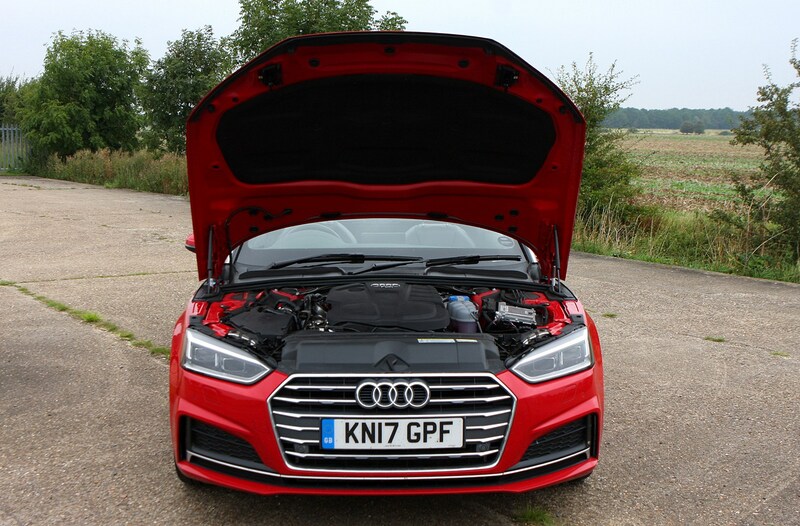 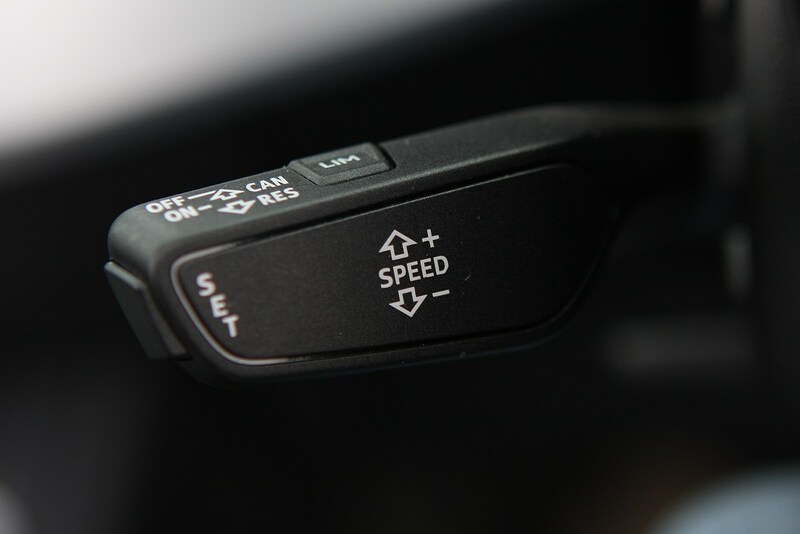 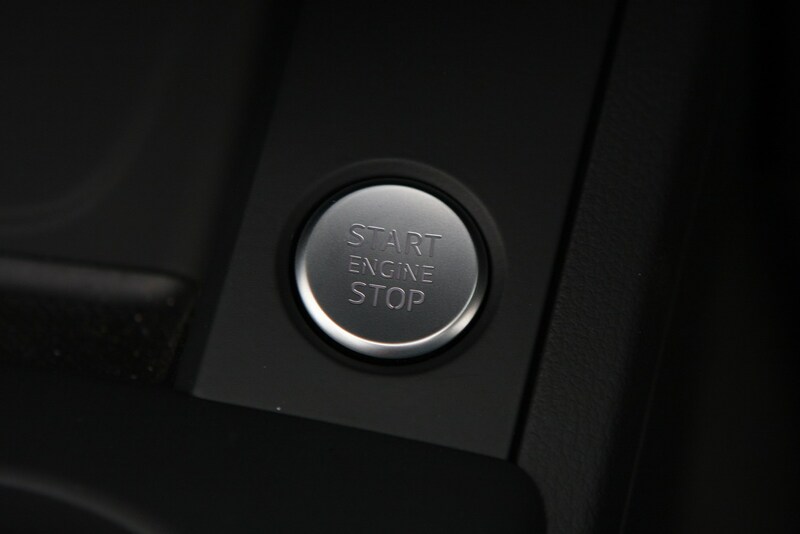 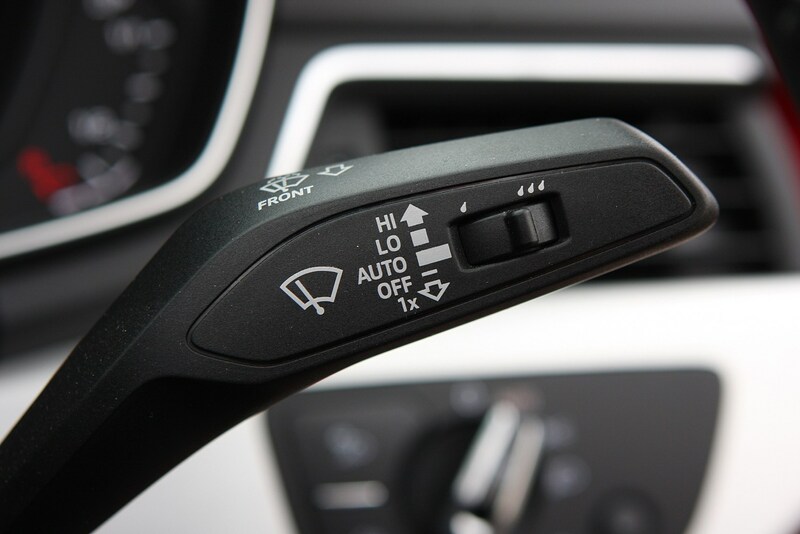 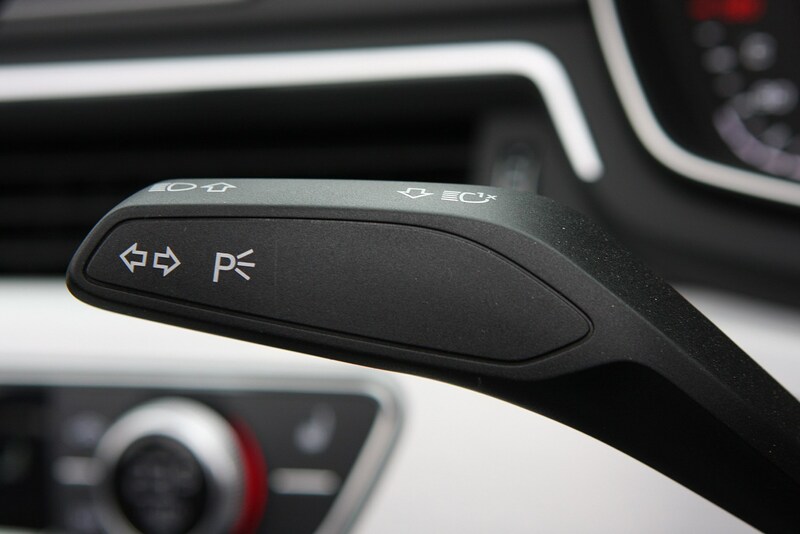 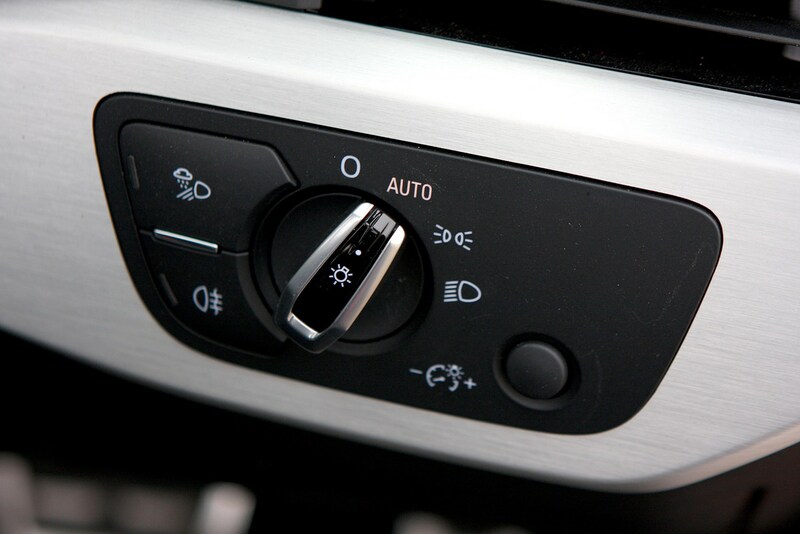 It’s also good to drive with a wide range of powertrain options that aren’t too costly to run. 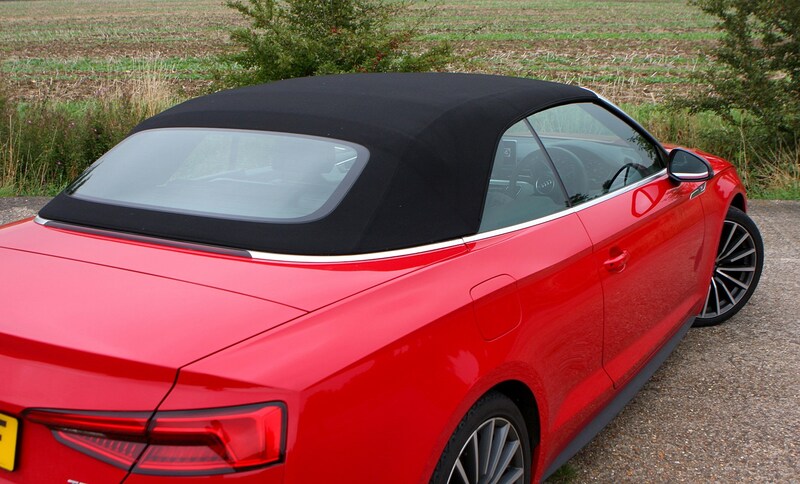 It’s incredibly refined with the roof up, so it’s usable throughout the winter, so there’s little compromise in going for a soft-top over the coupe. 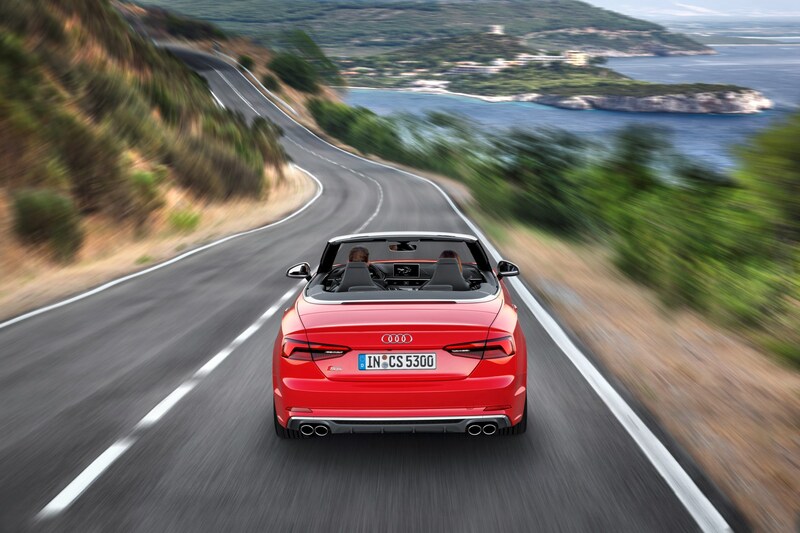 And what you do gain is the ability to enjoy the sun on those rarest of bright summer days.